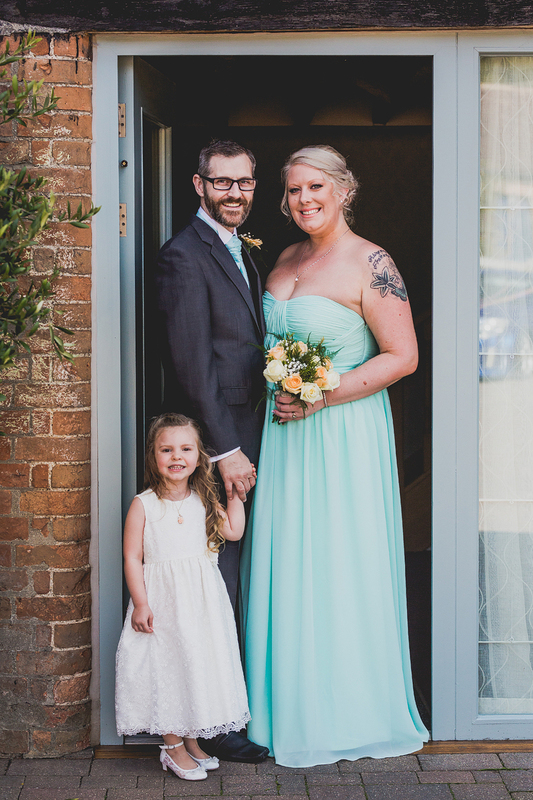 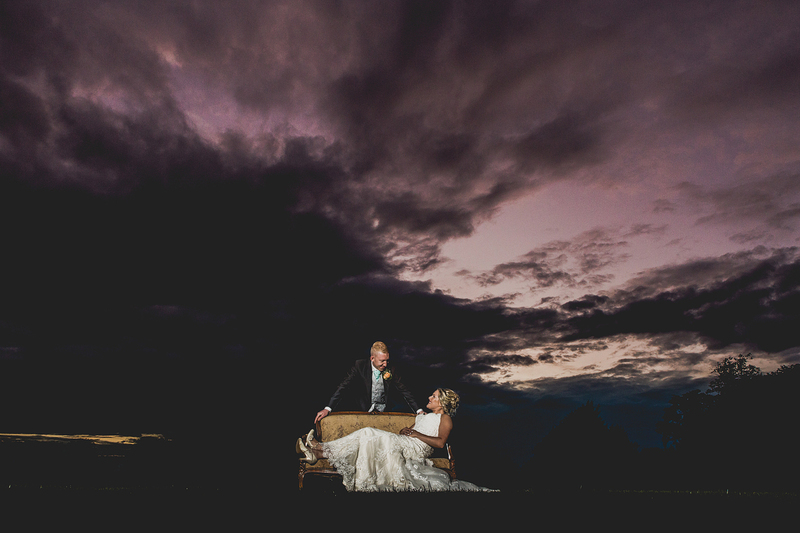 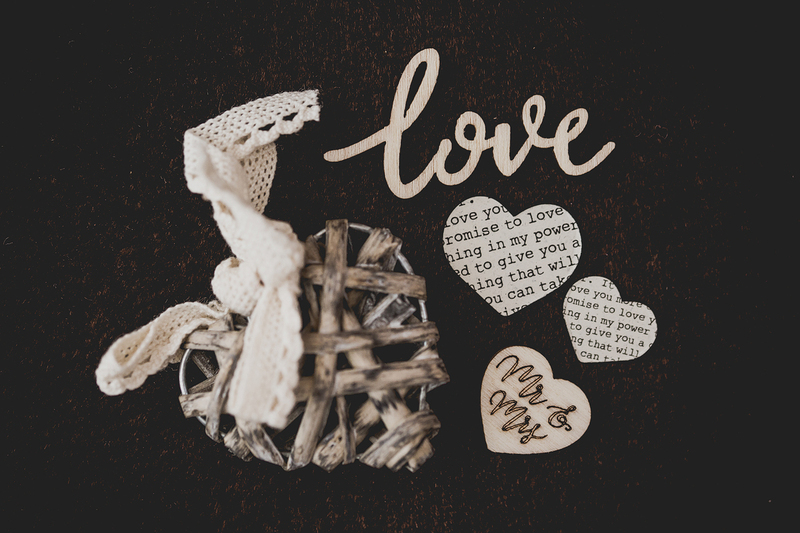 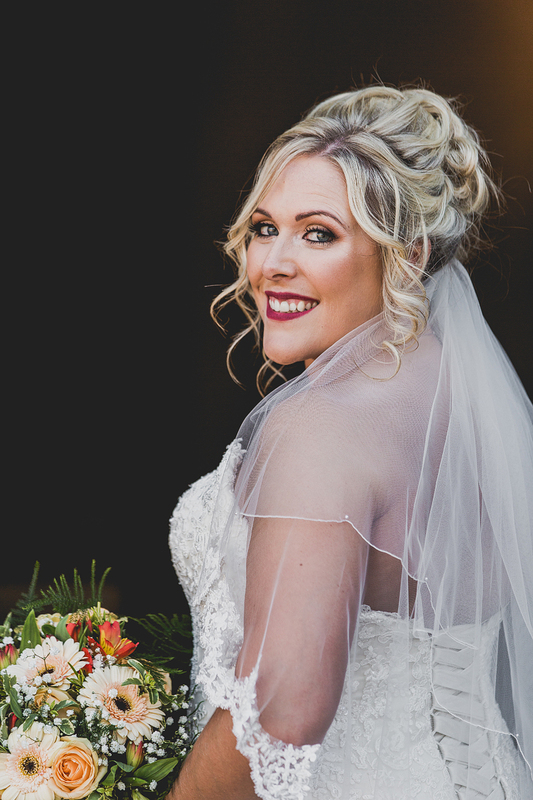 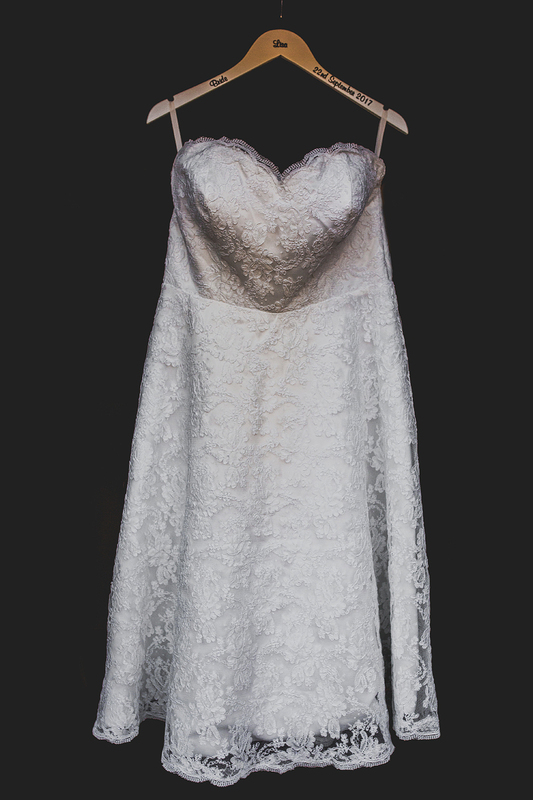 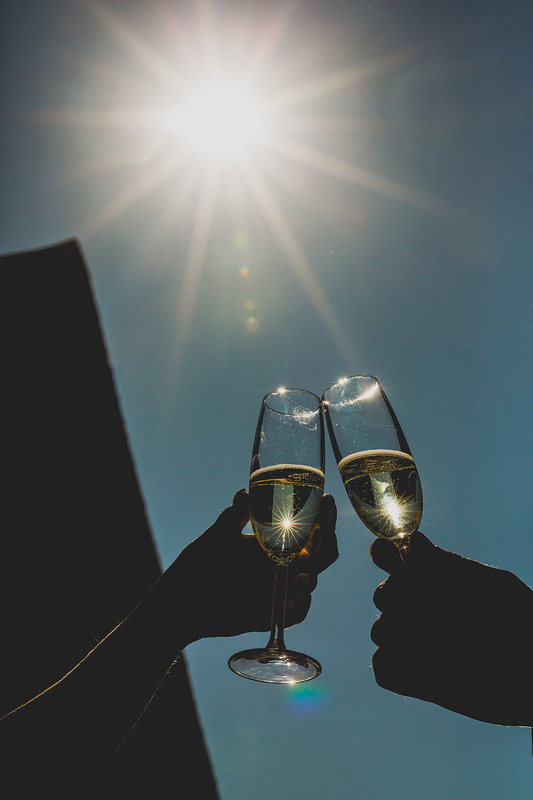 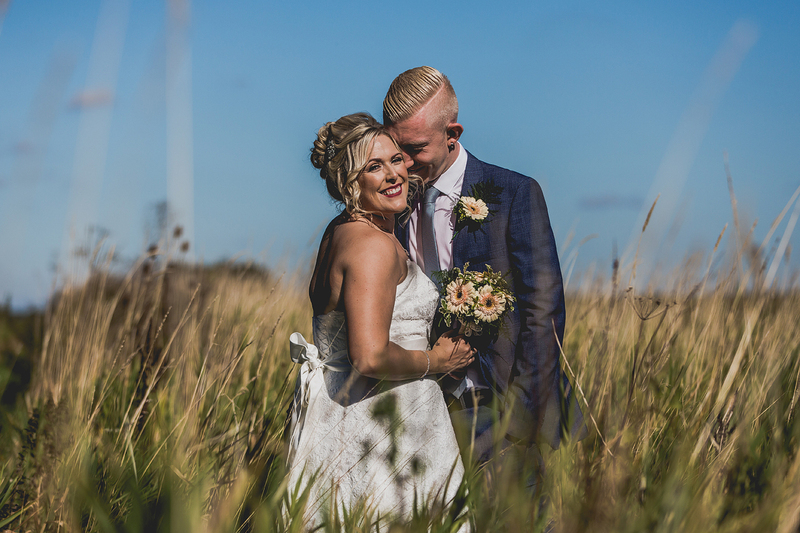 Wow this wedding had everything; two ceremonies, two dresses and two of the nicest clients I’ve had the pleasure of working with. 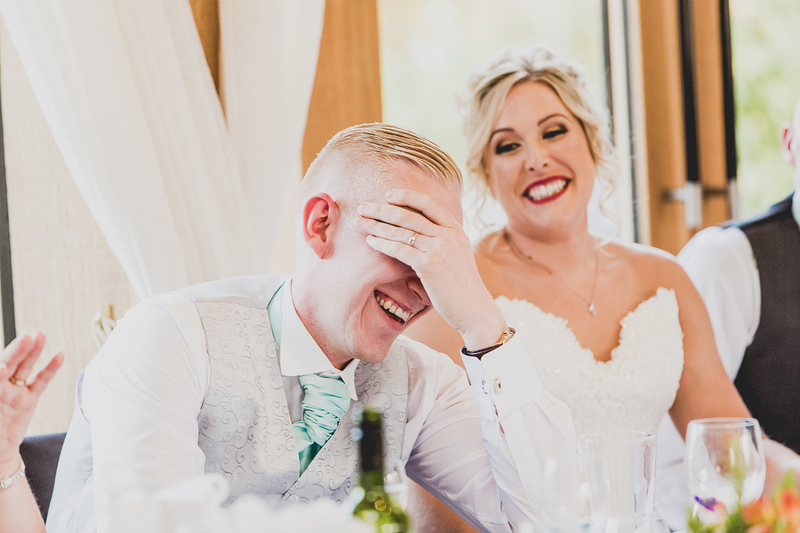 Lisa and Chris unwittingly forgot to book their registrar for their main 14.00 ceremony so this meant an intimate 10.30 ceremony for close family and friends then the main event a bit later on in the afternoon. 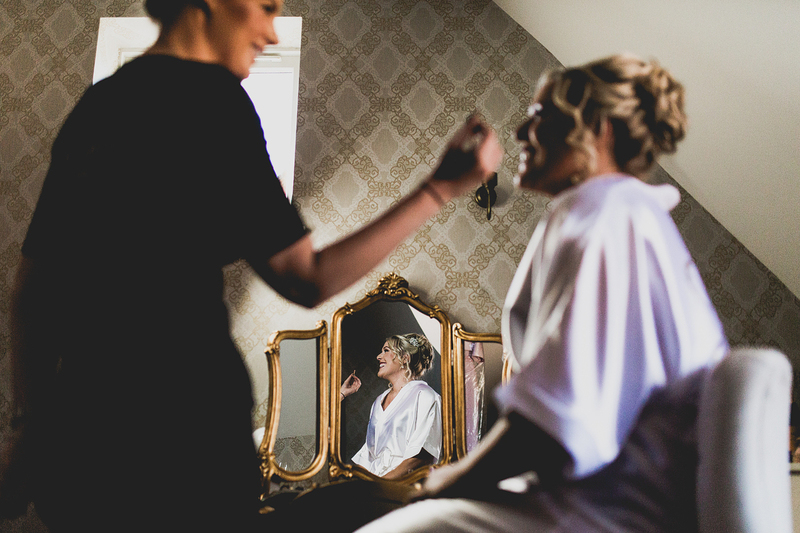 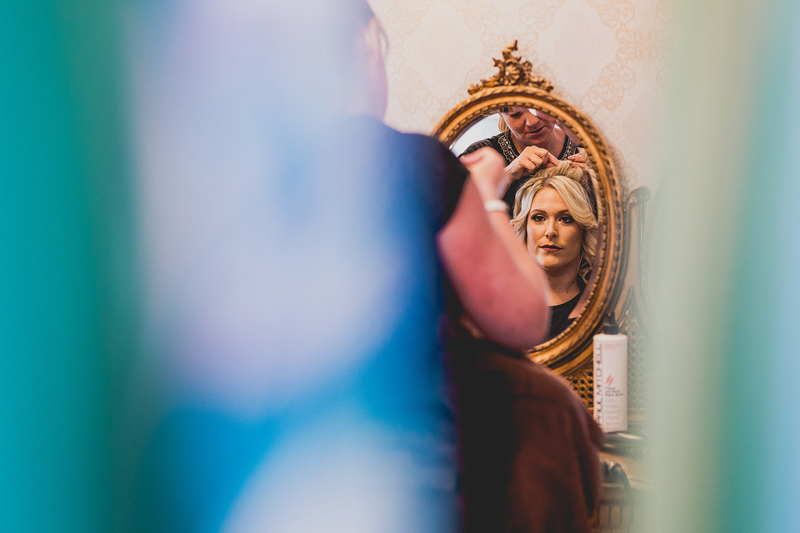 So an early start for bridal prep but I didn’t mind, I love this time in the morning capturing all the little details and emotions as they unfold. 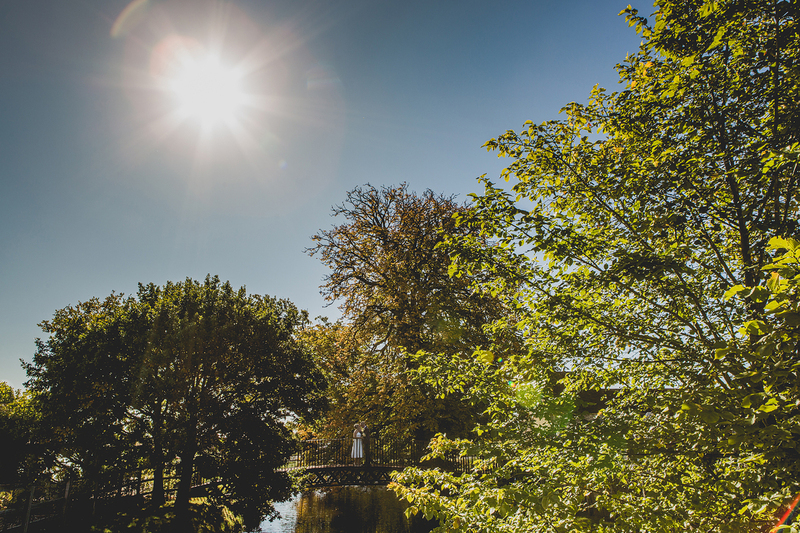 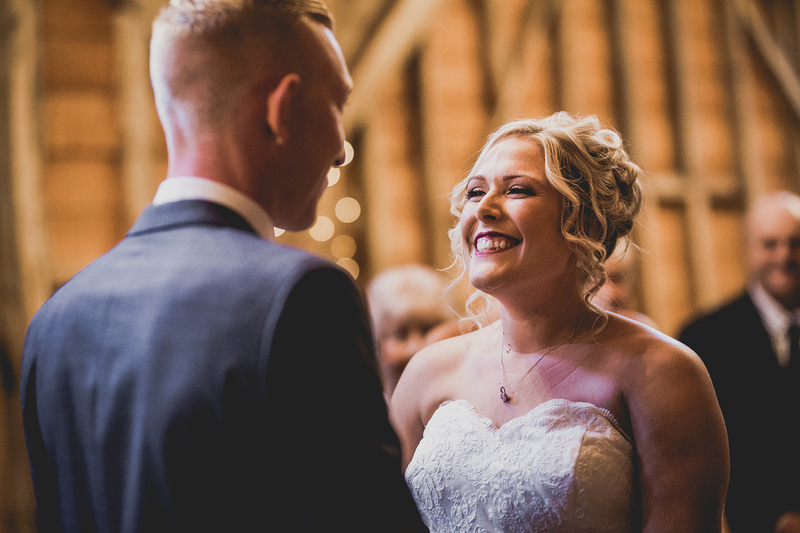 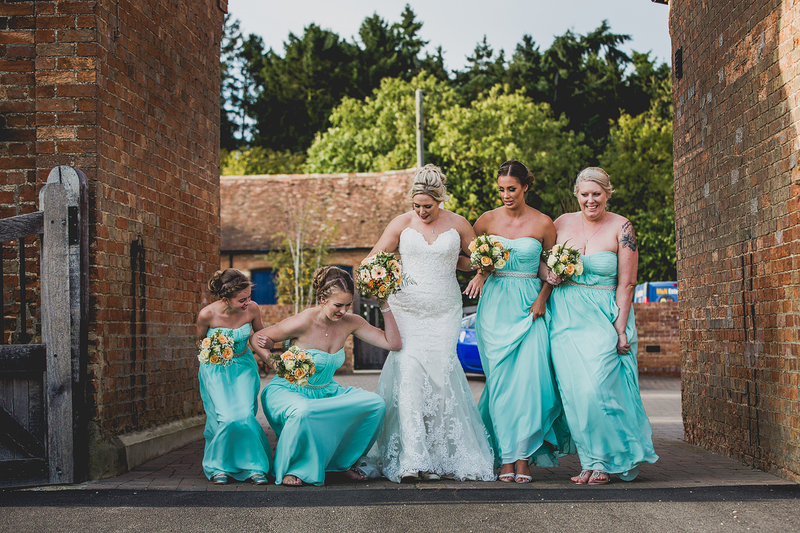 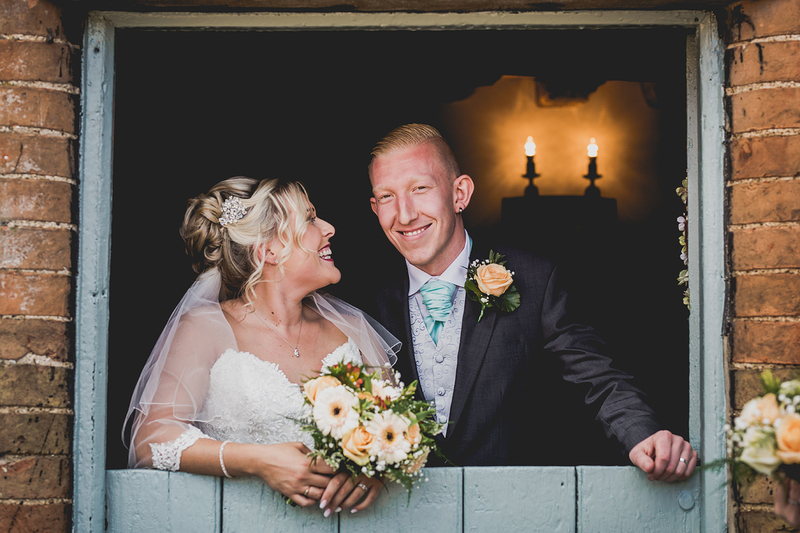 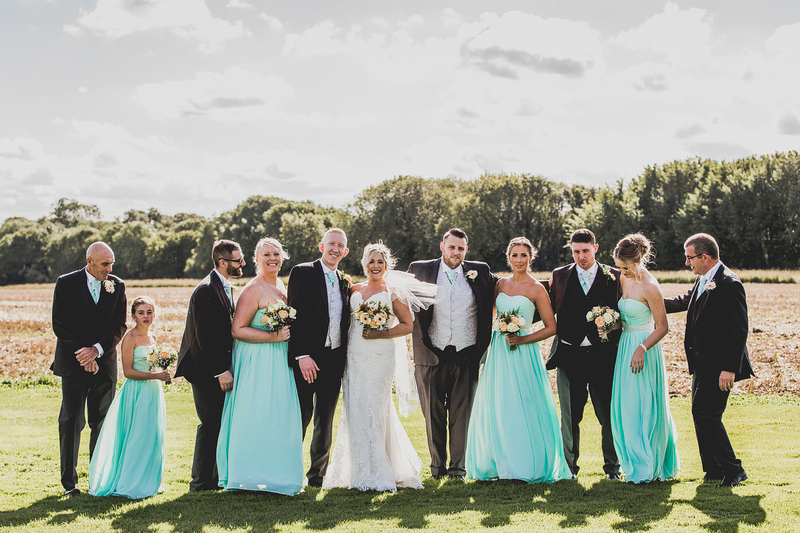 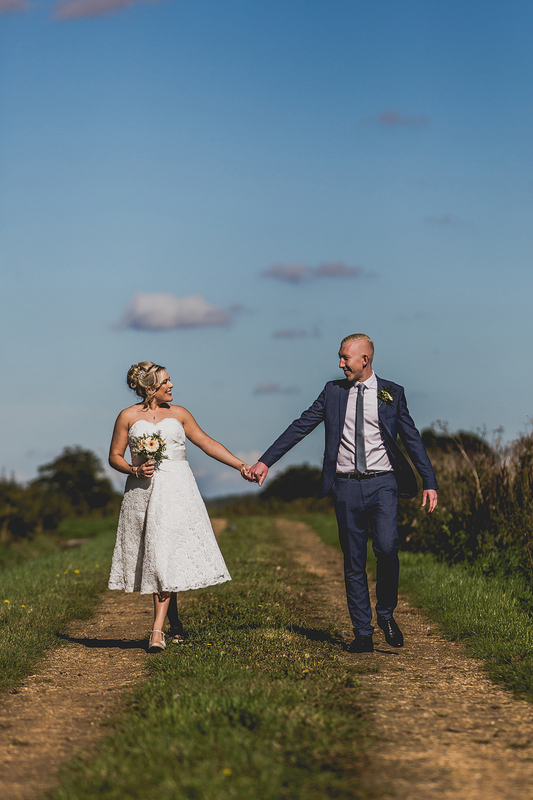 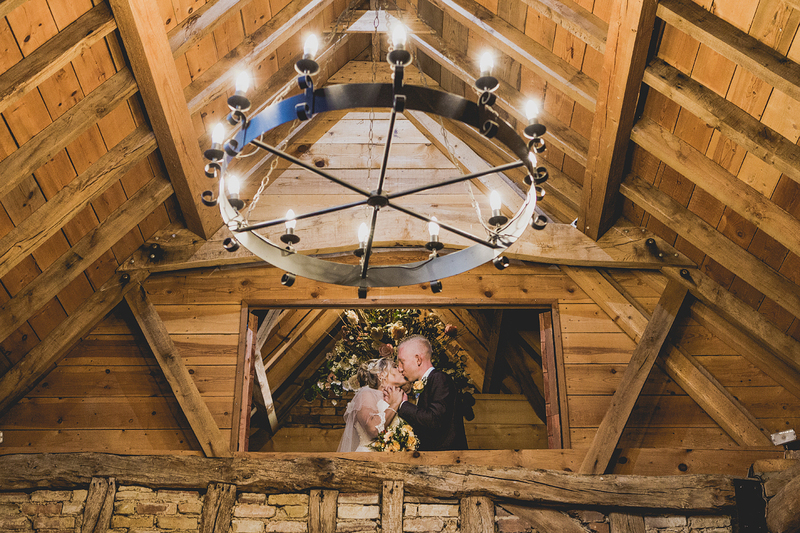 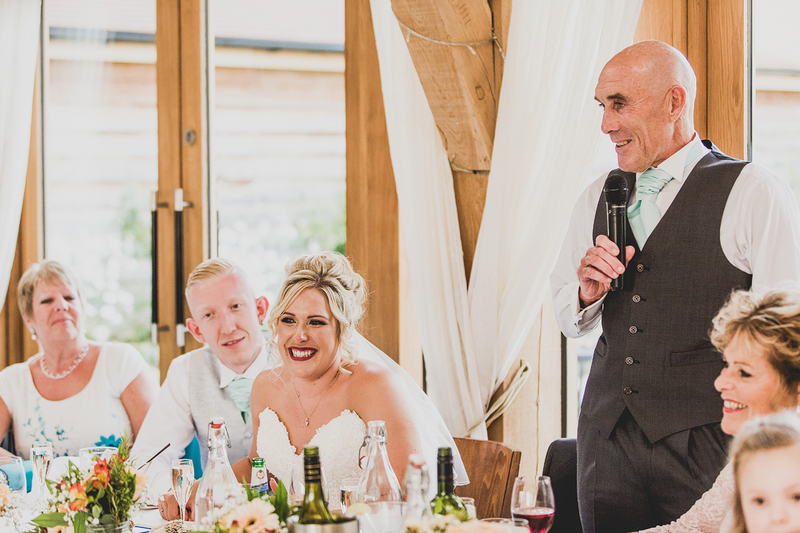 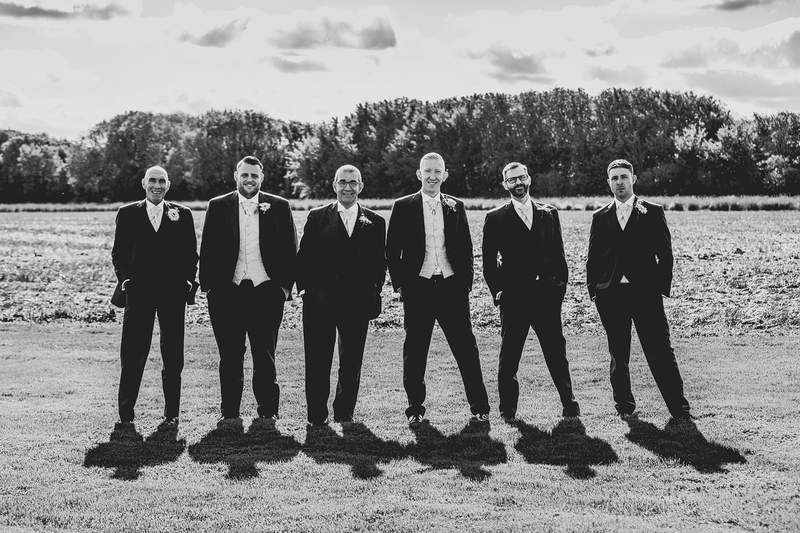 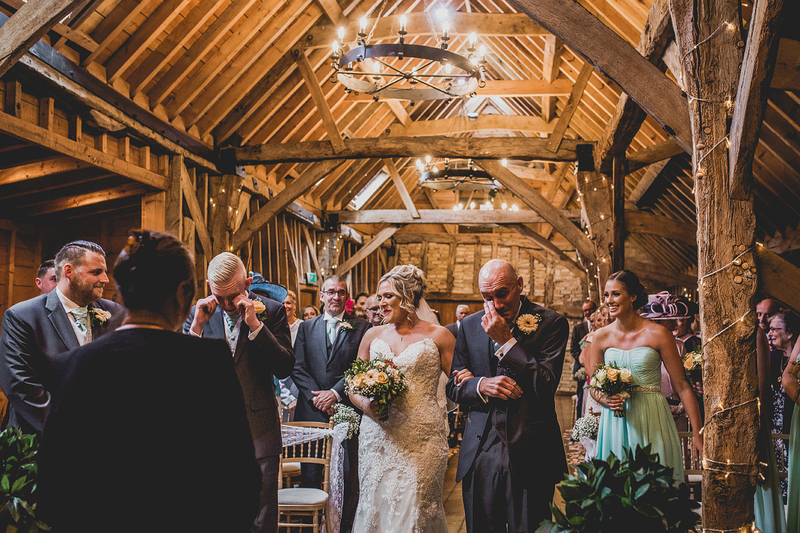 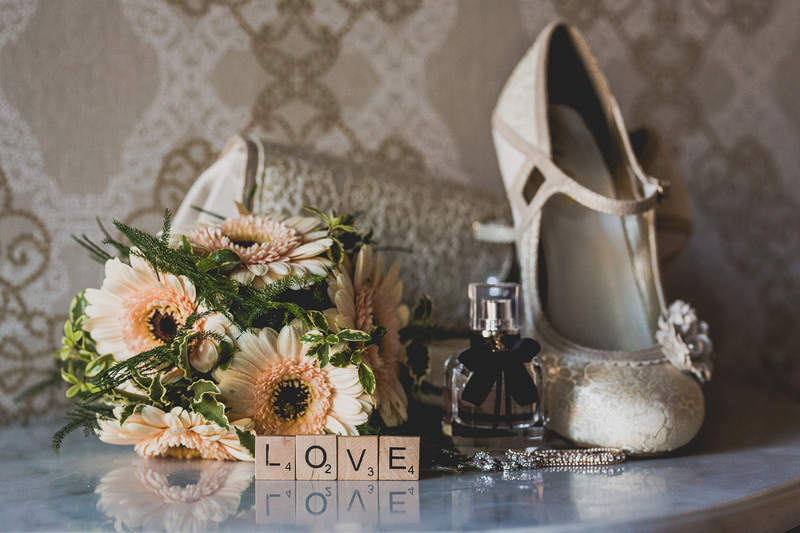 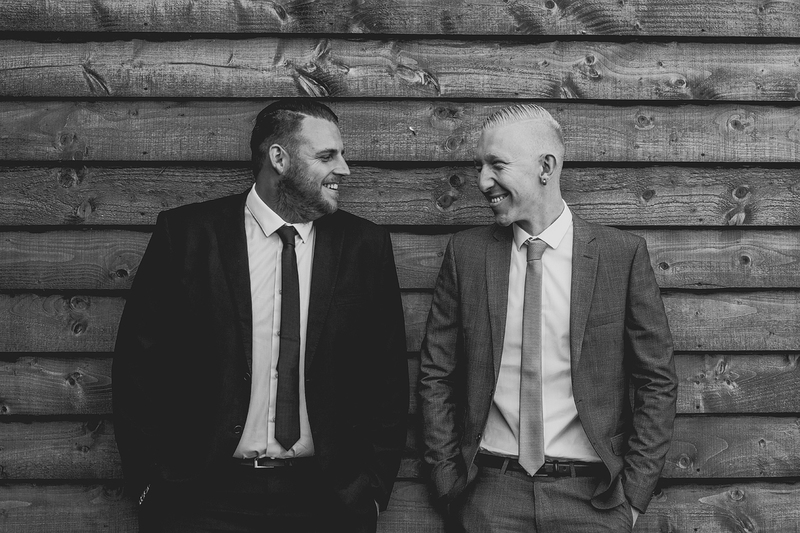 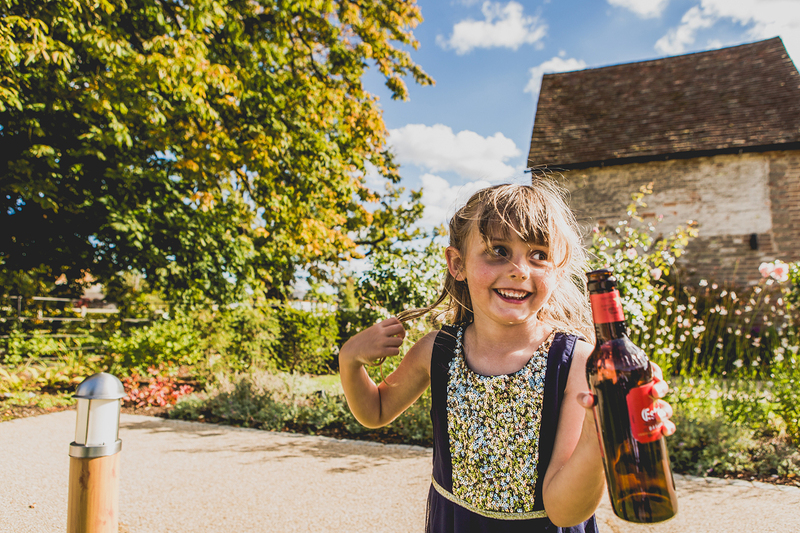 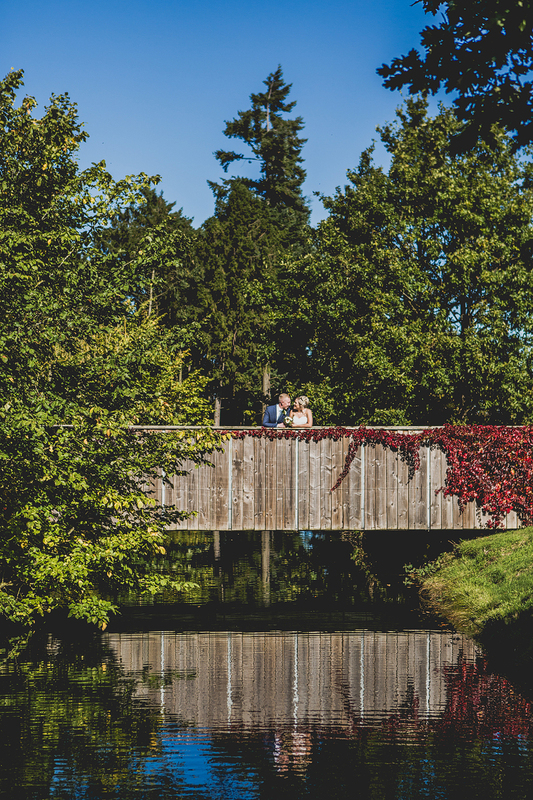 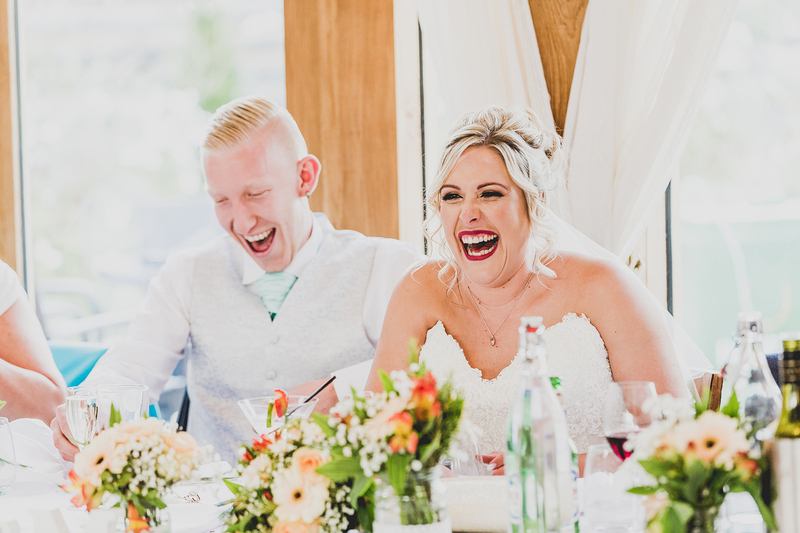 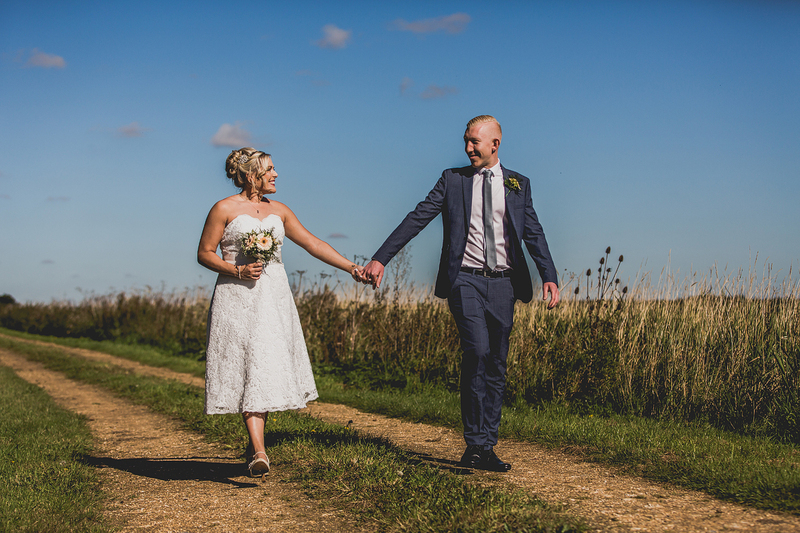 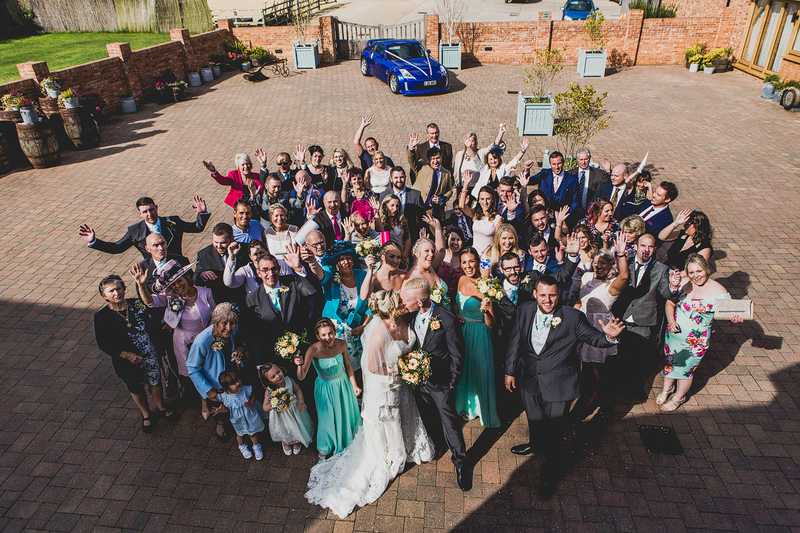 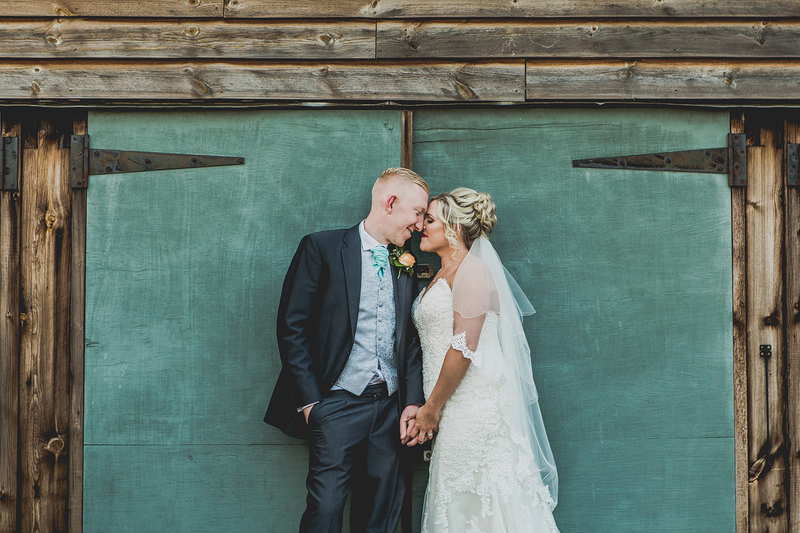 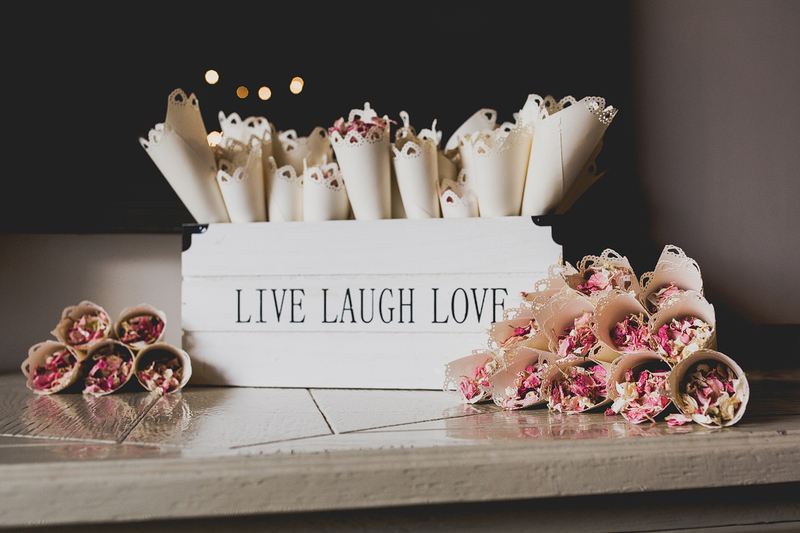 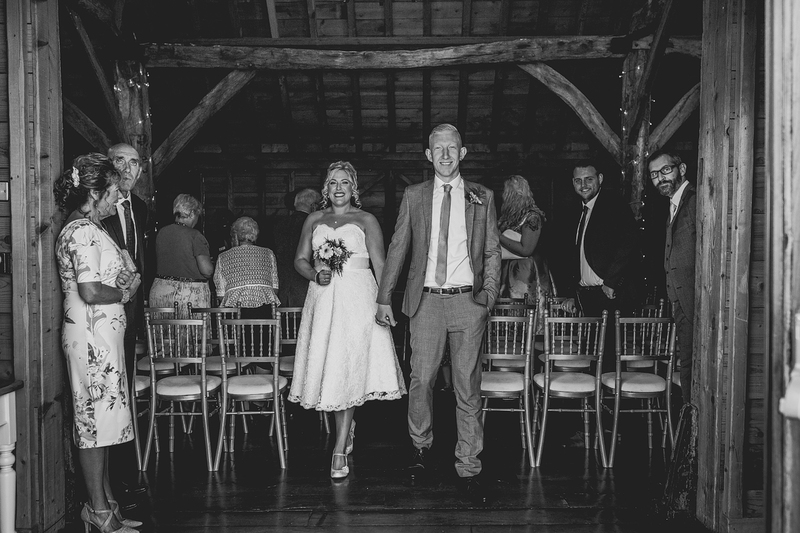 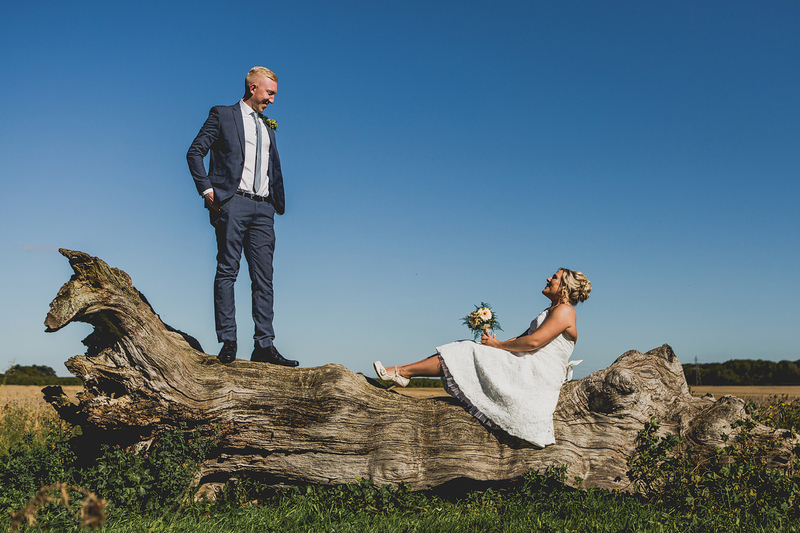 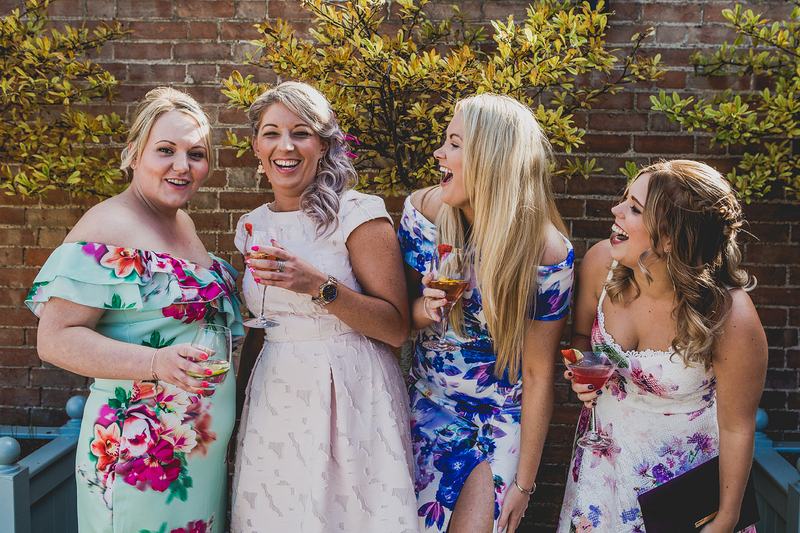 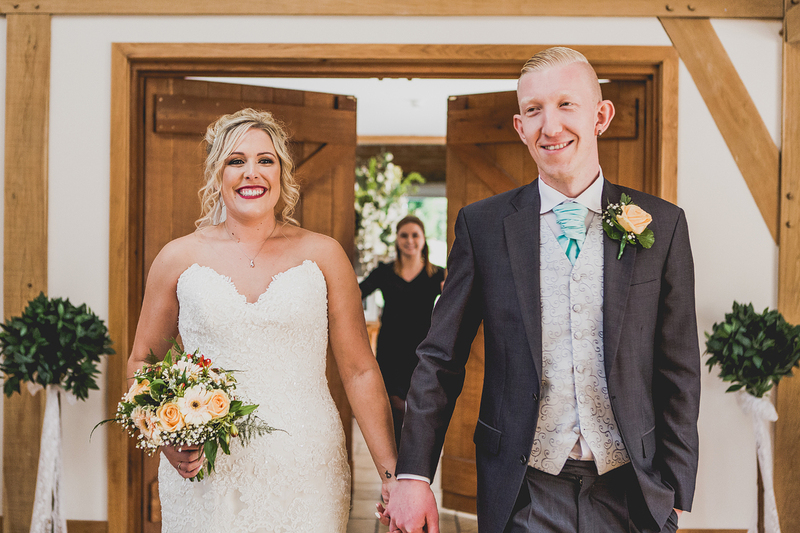 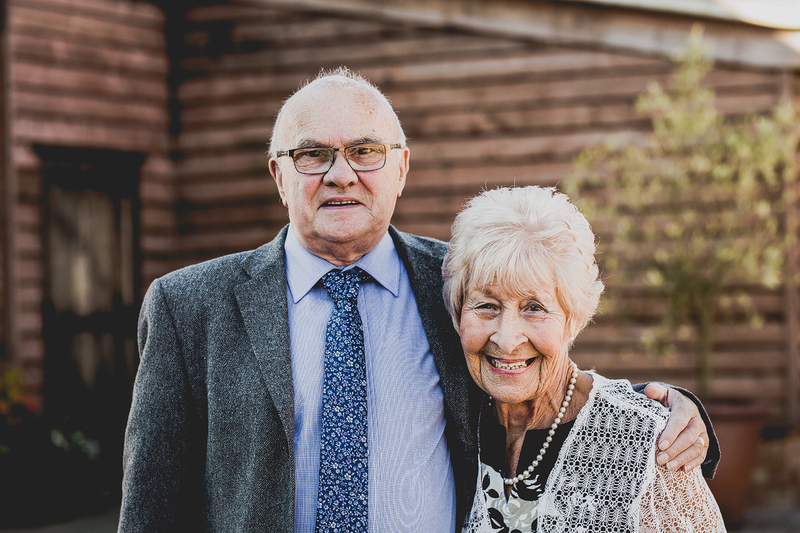 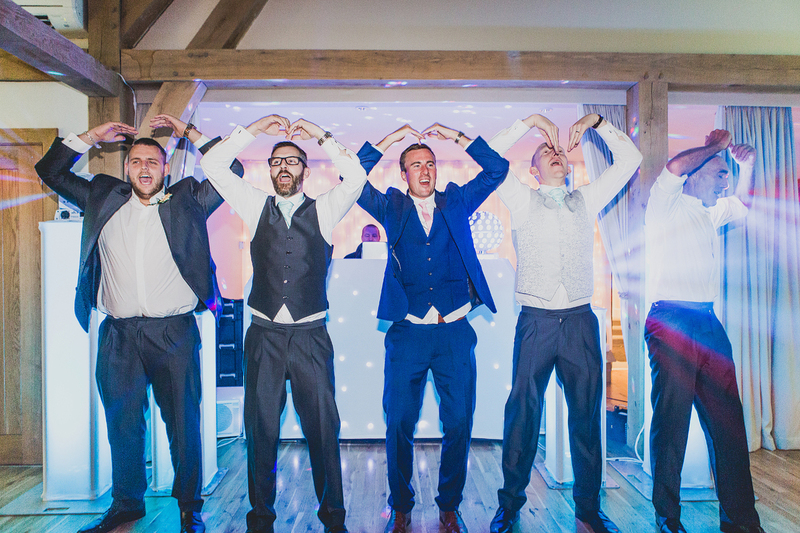 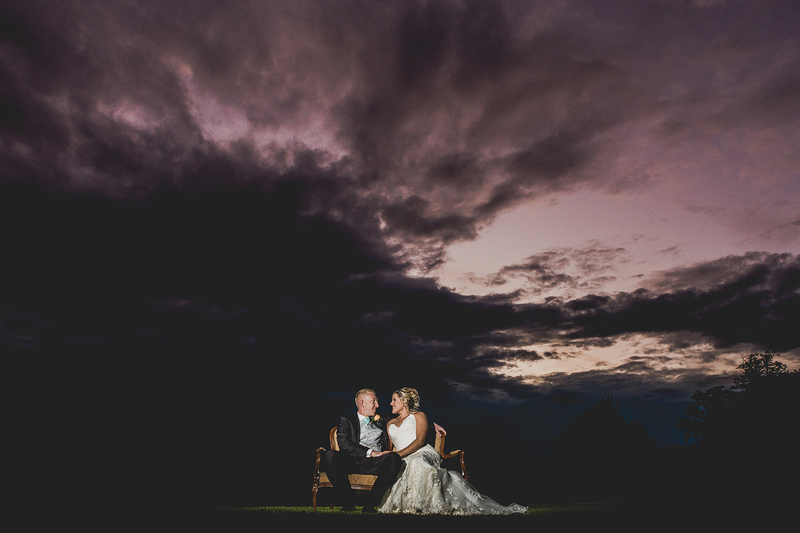 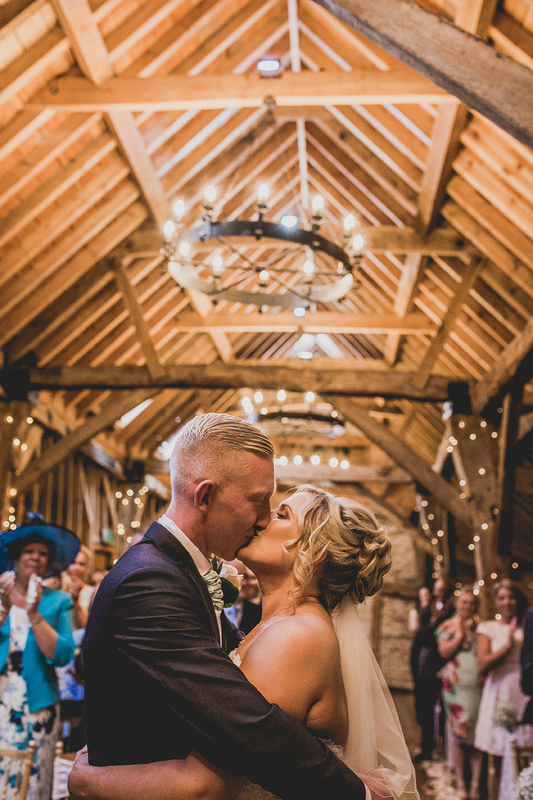 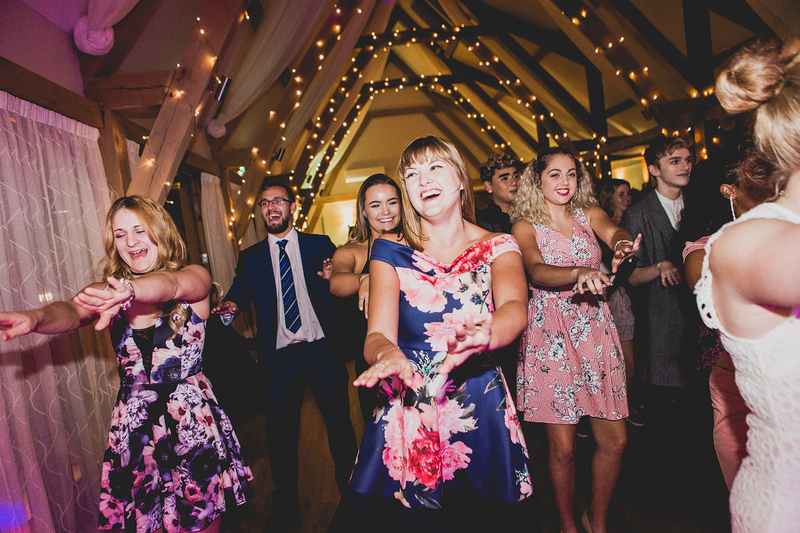 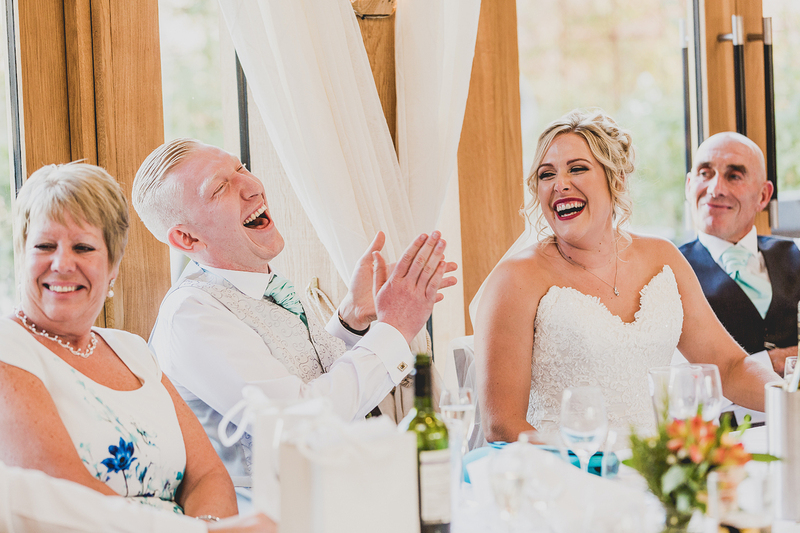 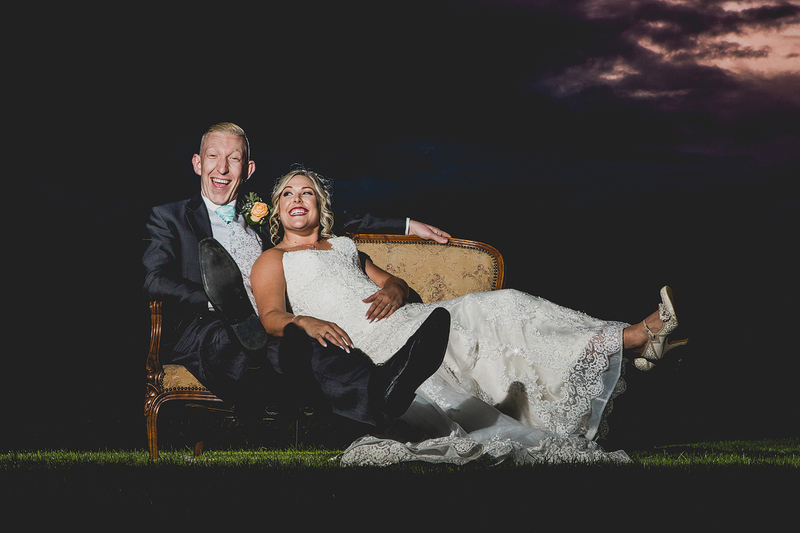 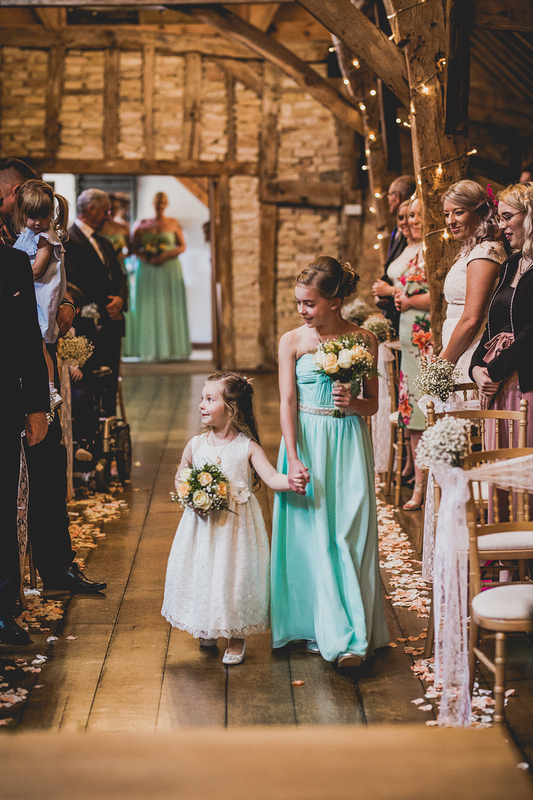 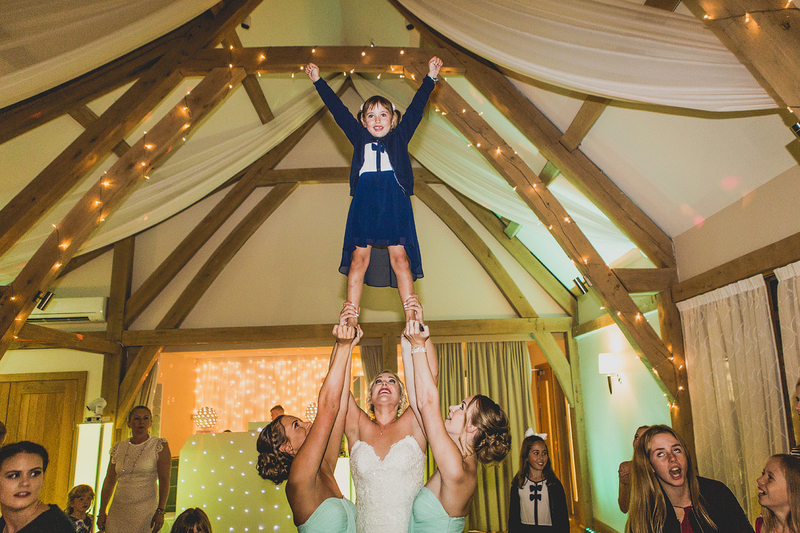 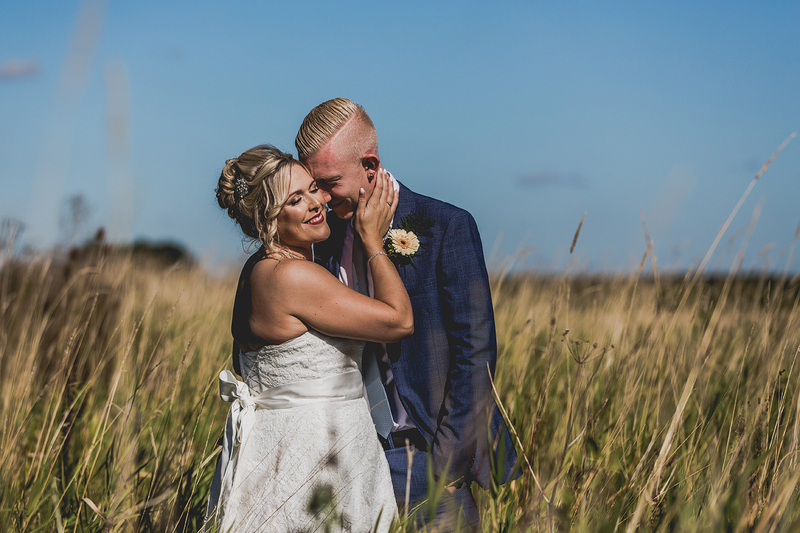 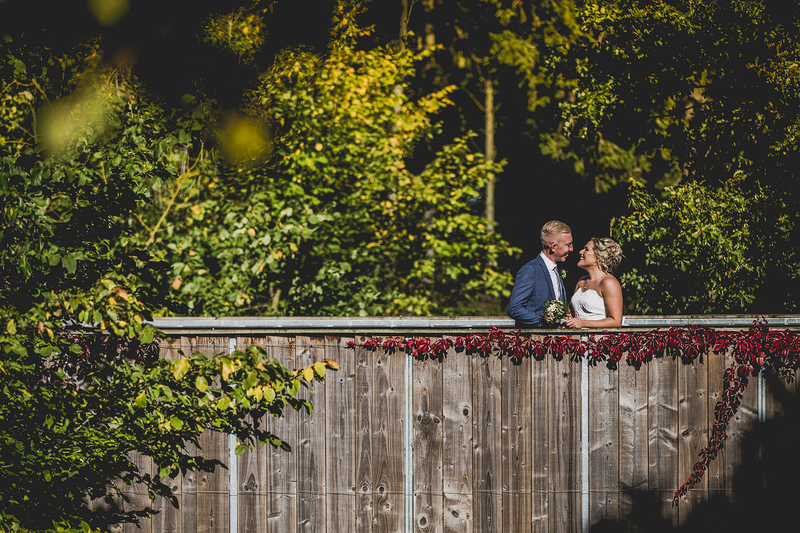 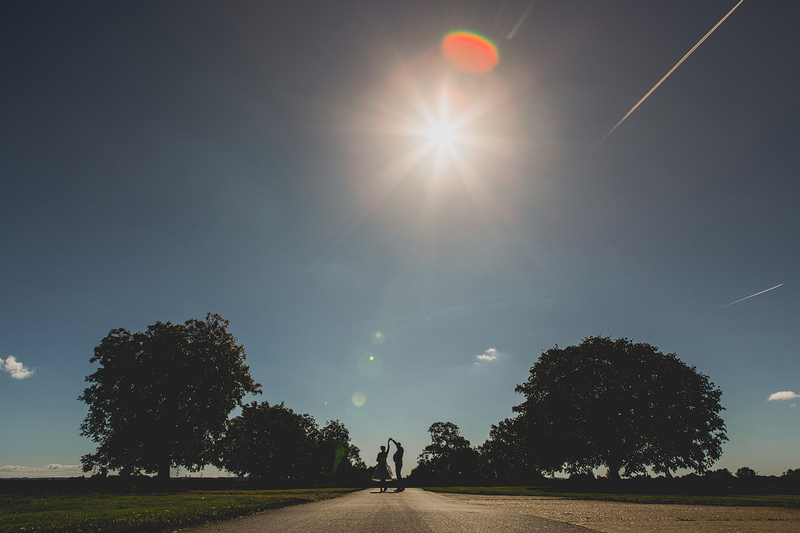 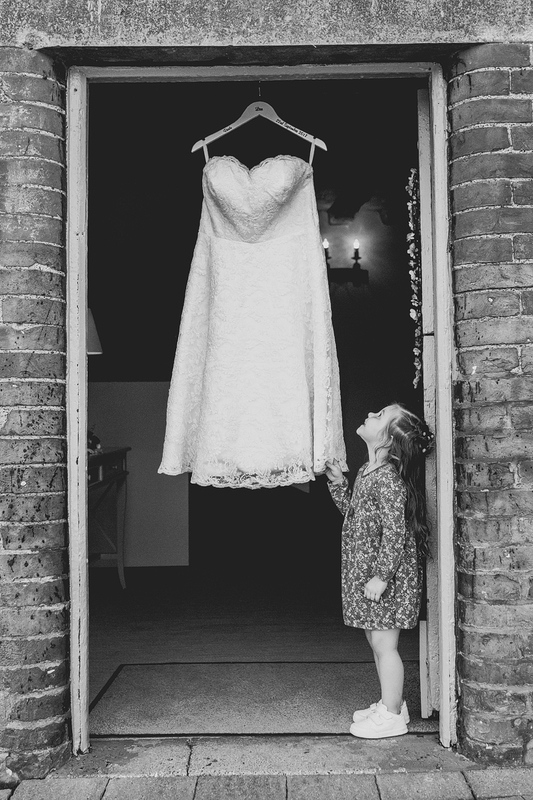 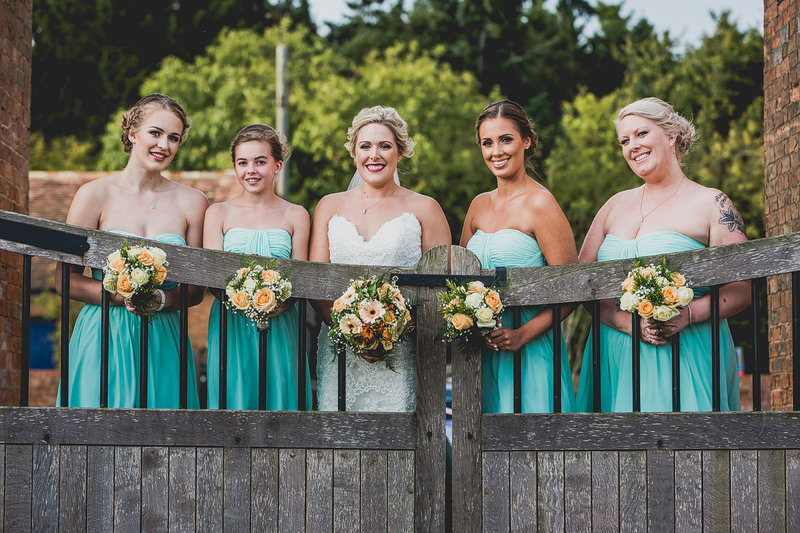 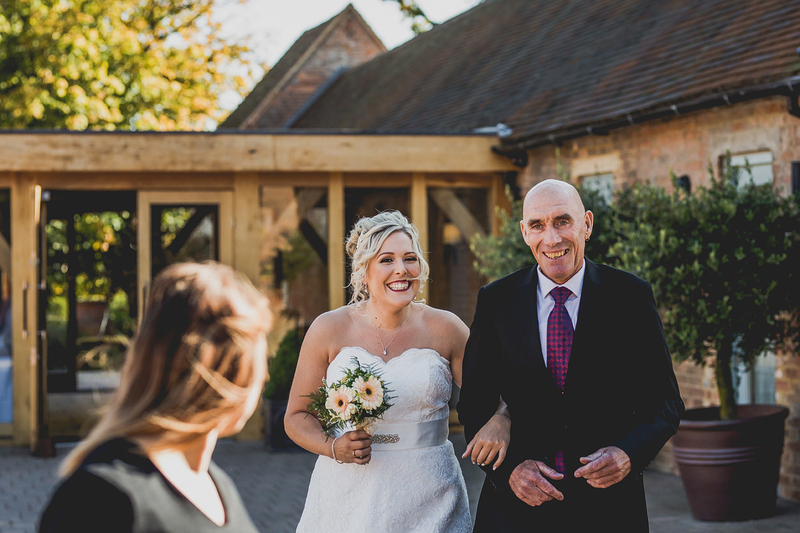 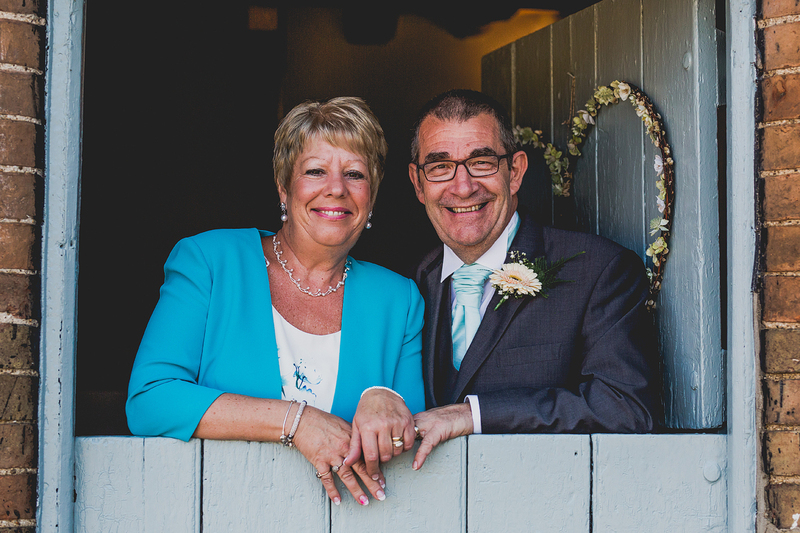 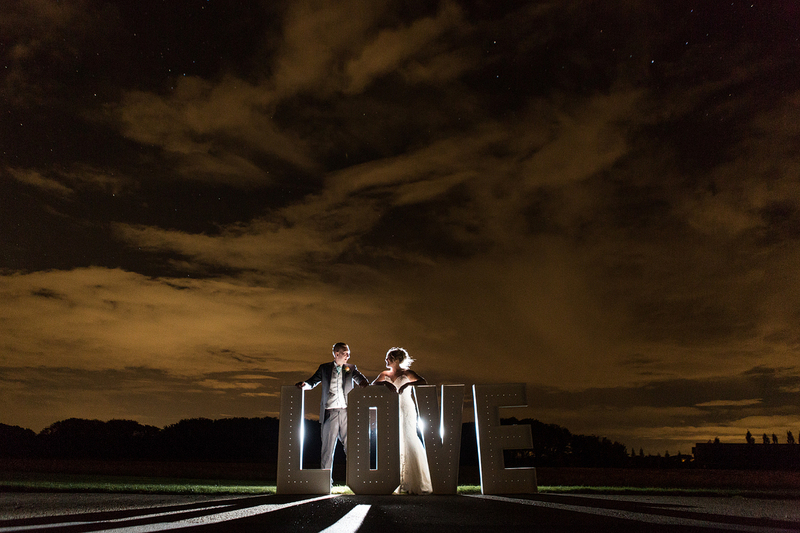 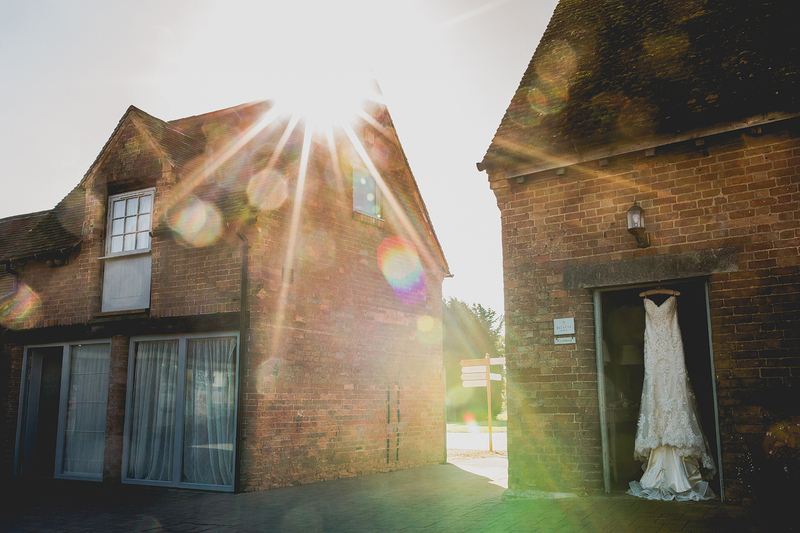 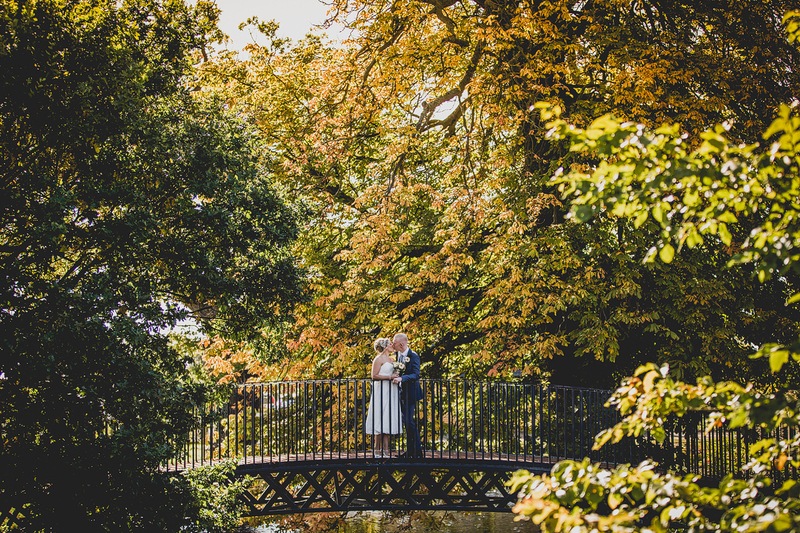 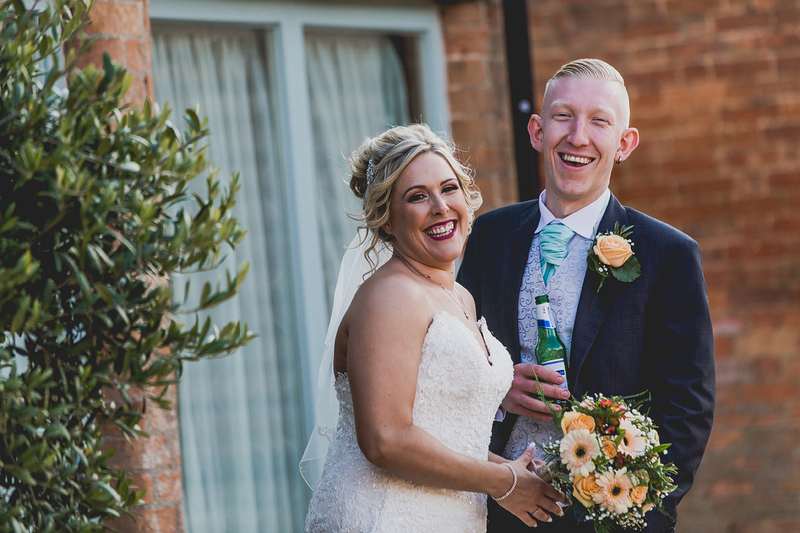 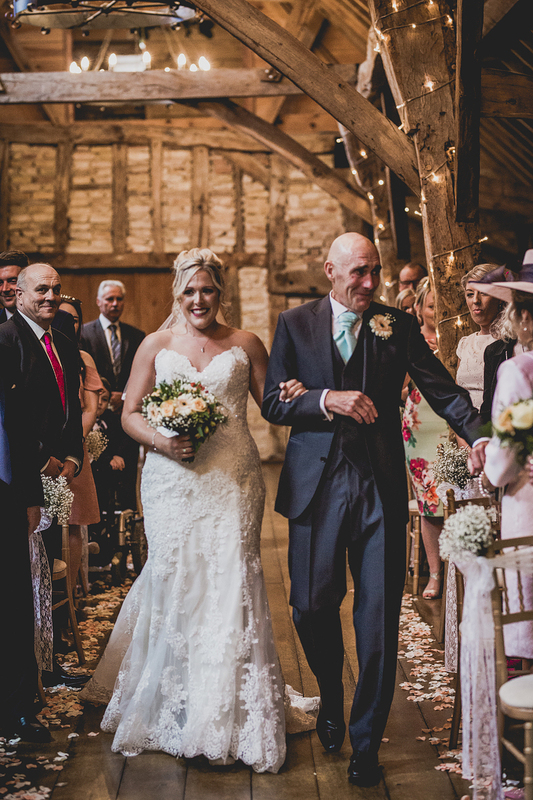 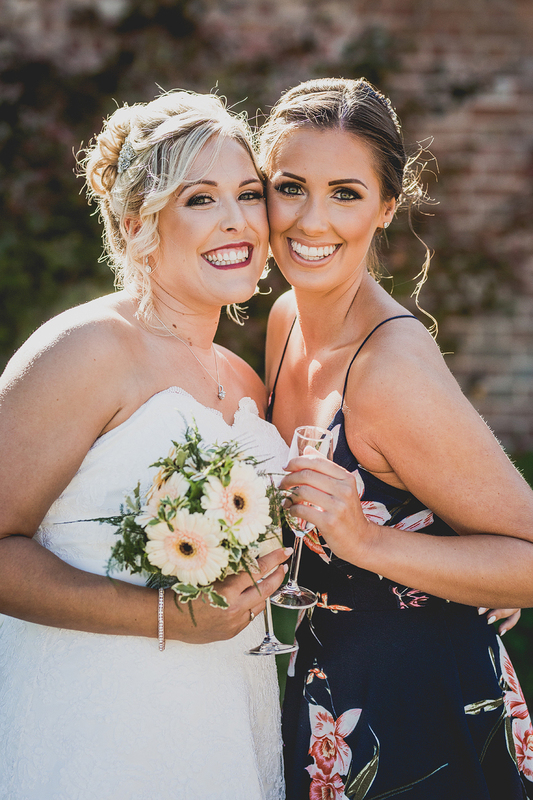 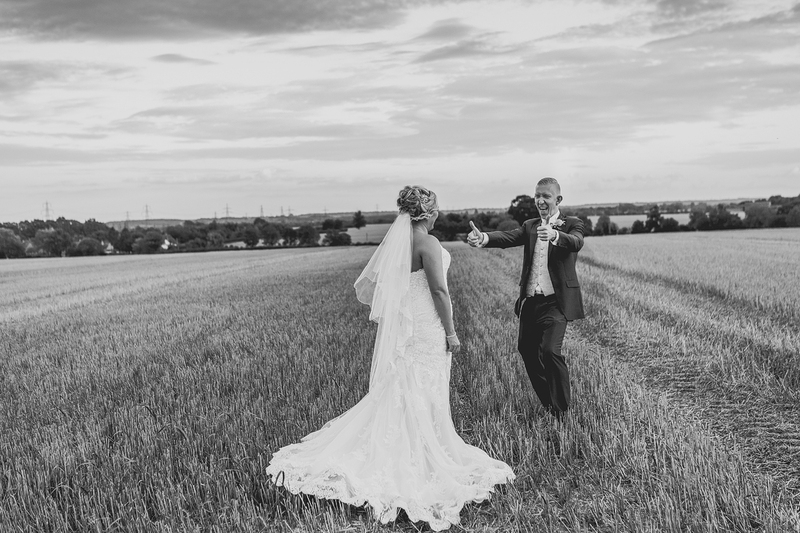 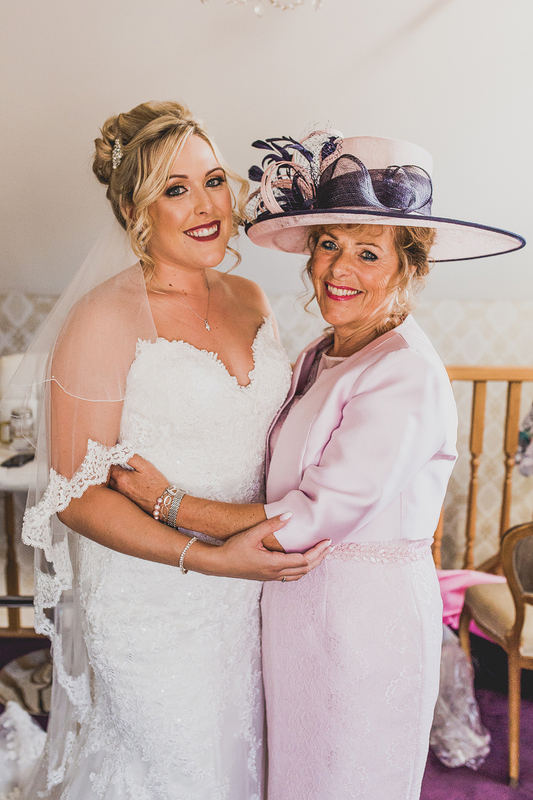 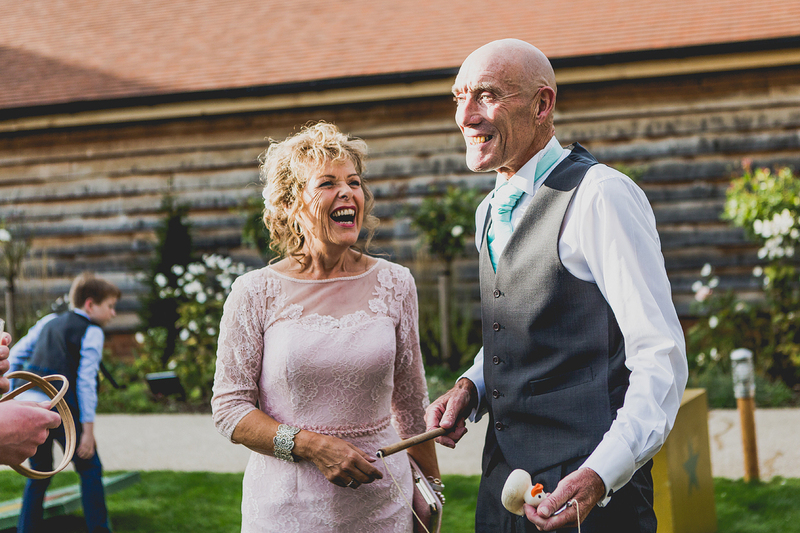 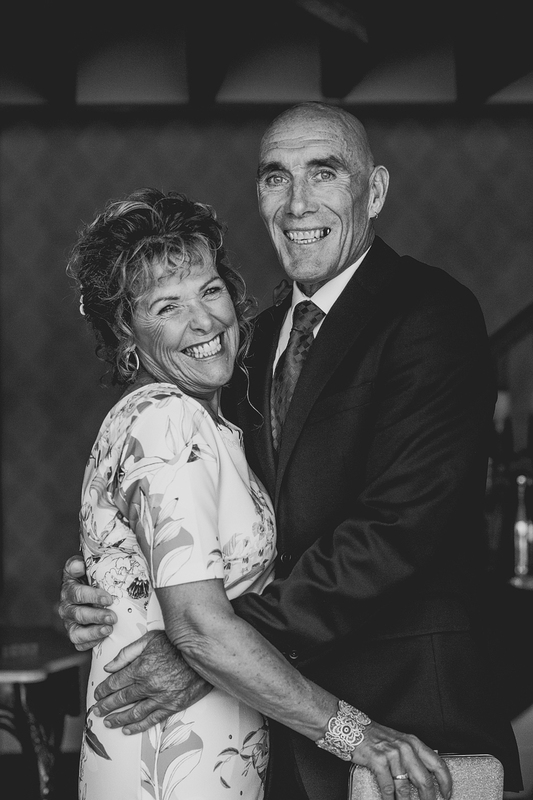 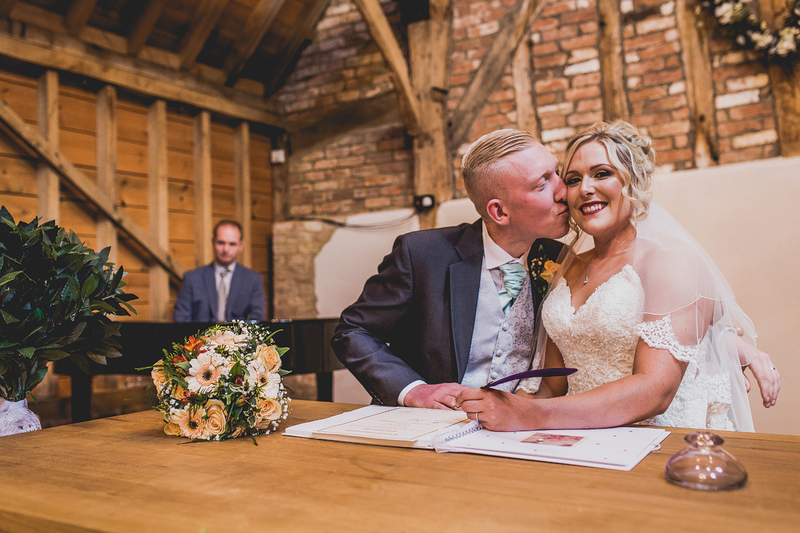 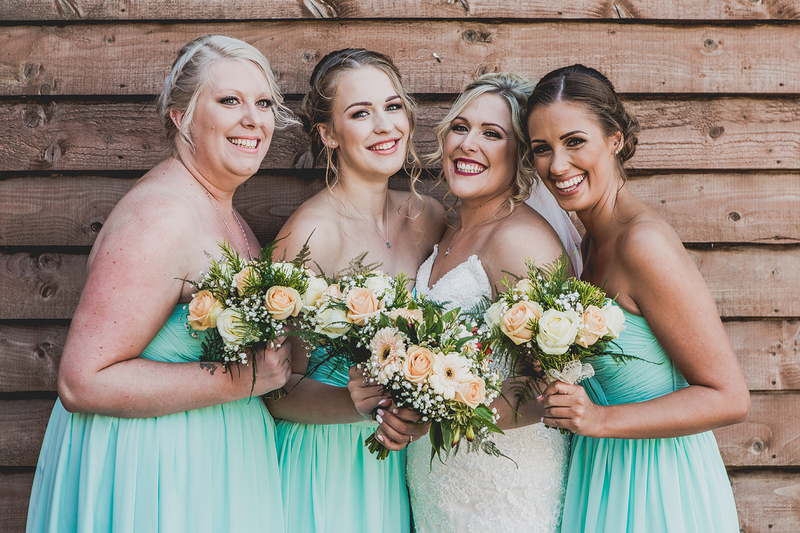 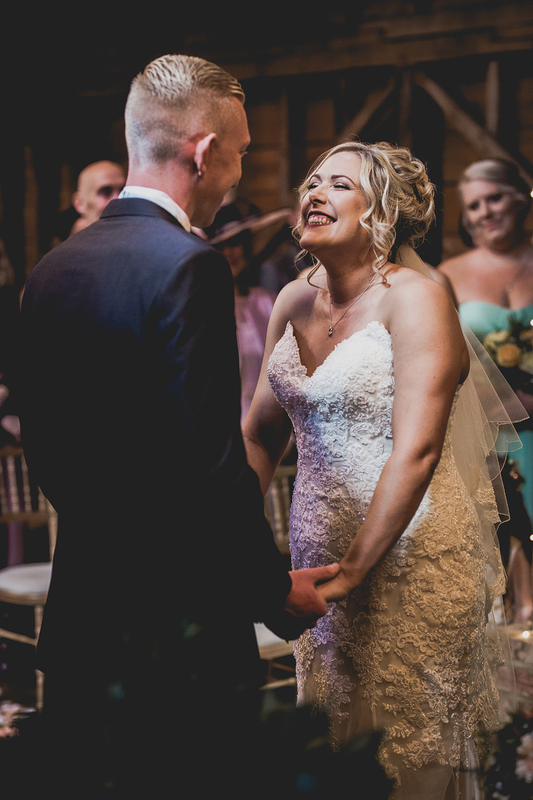 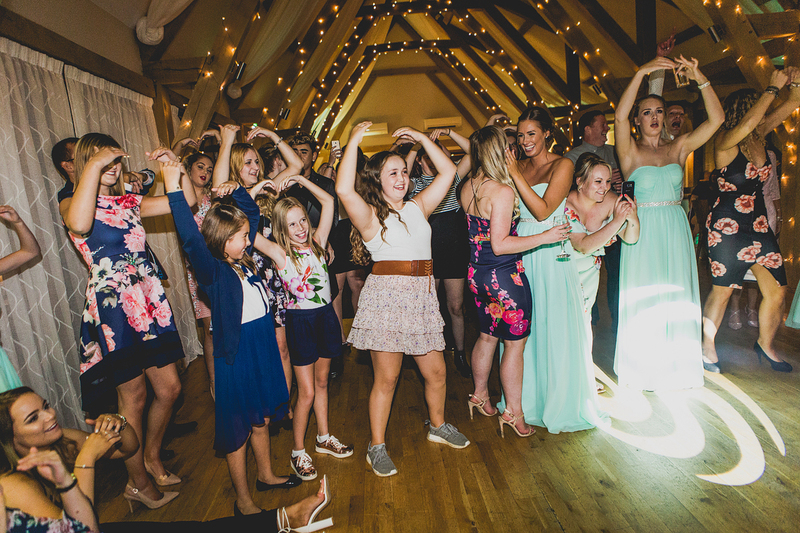 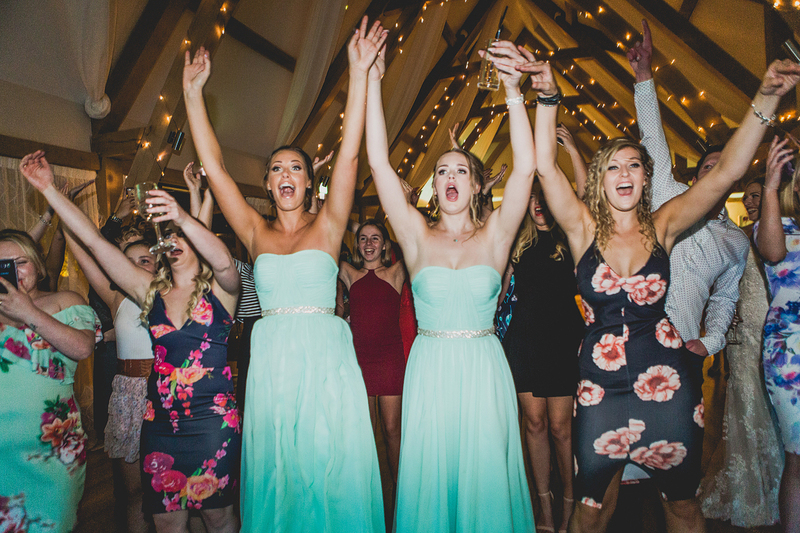 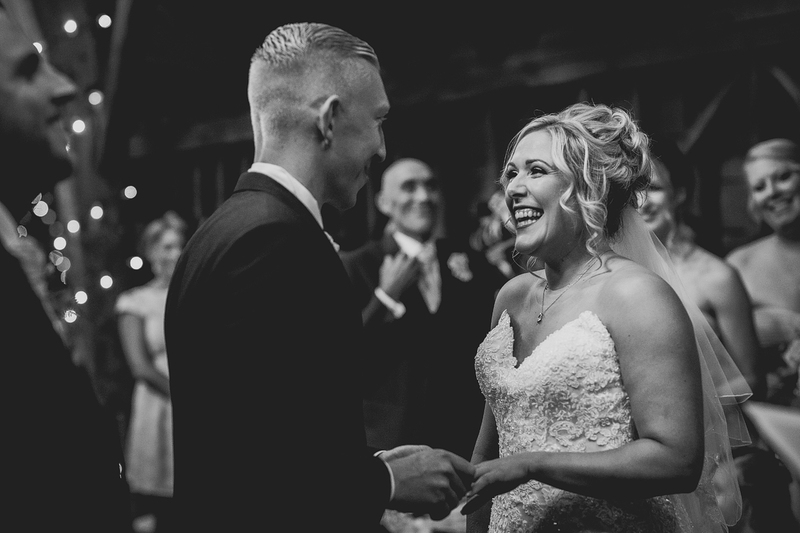 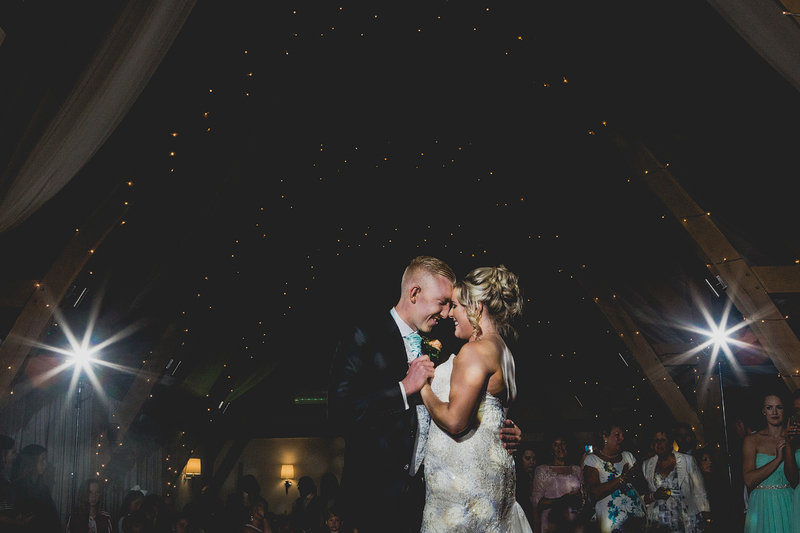 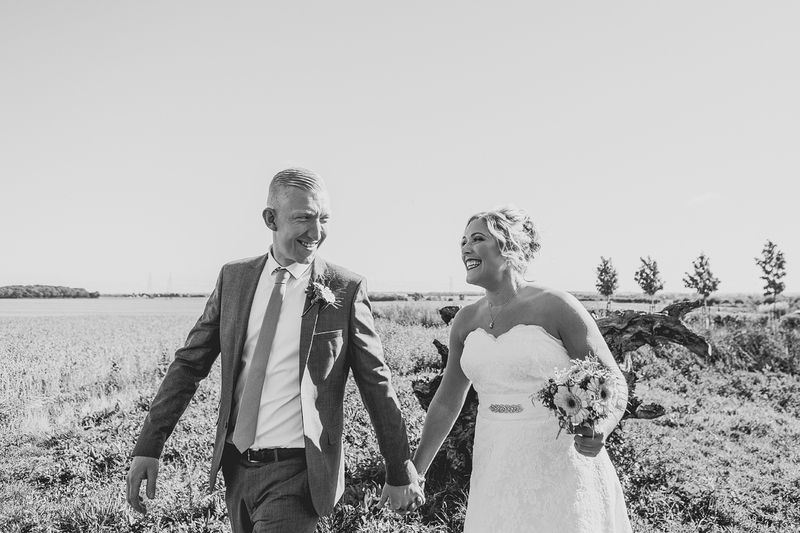 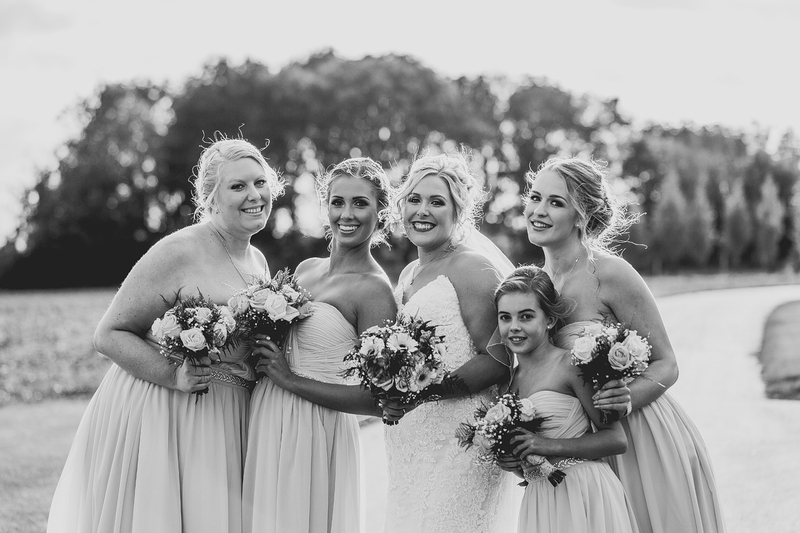 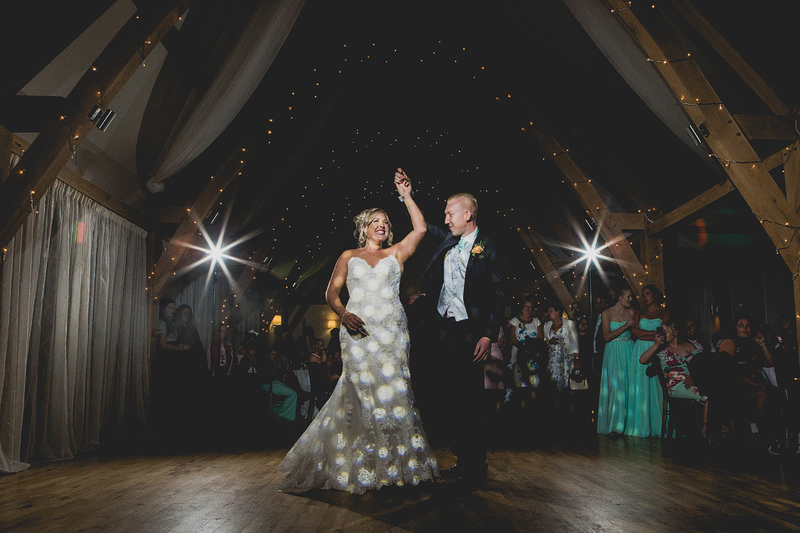 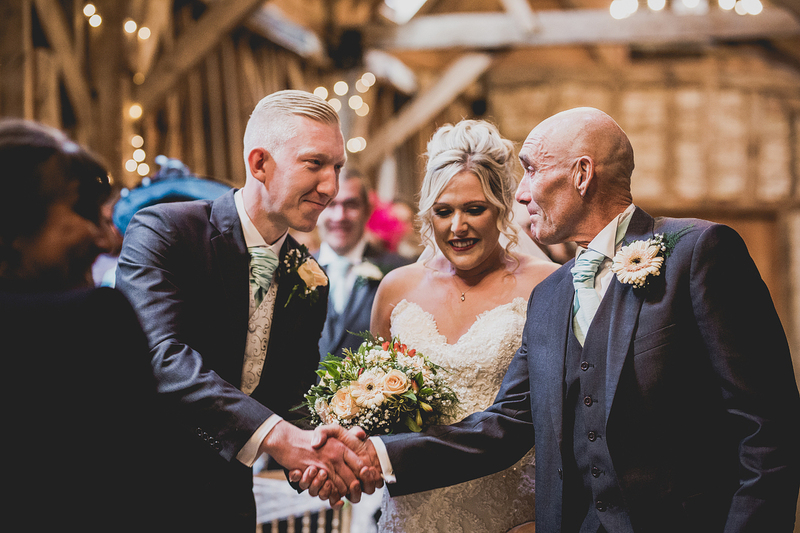 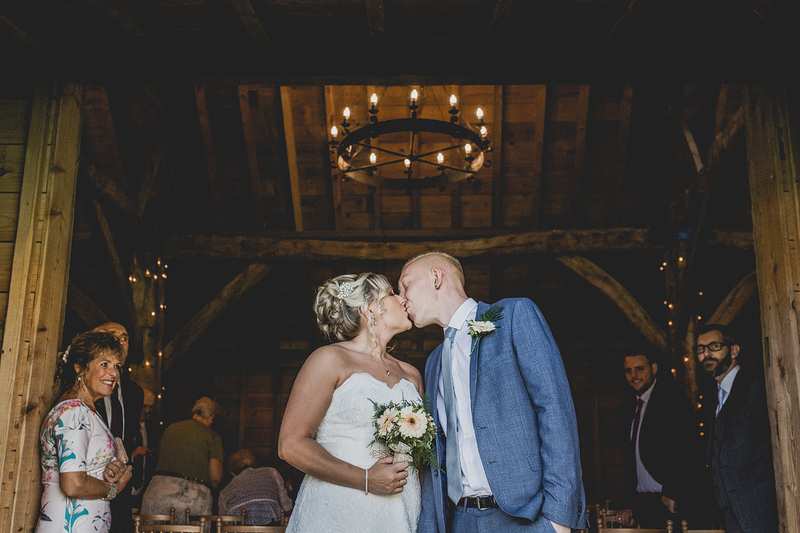 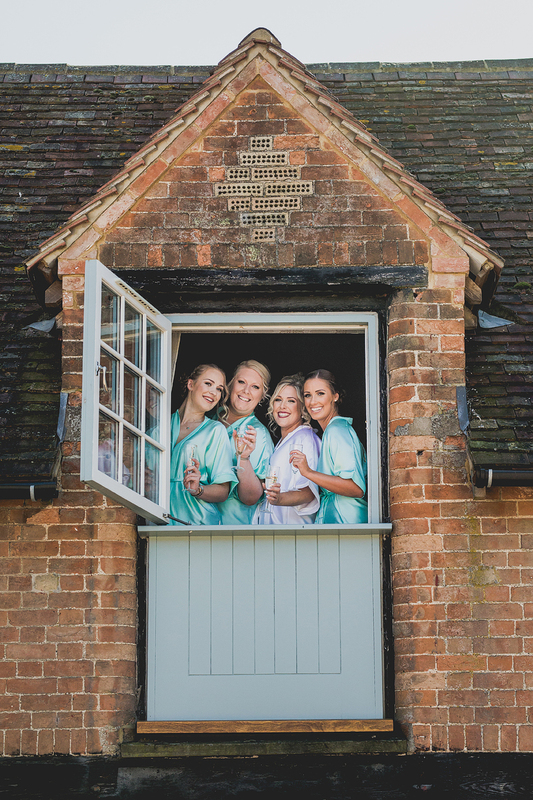 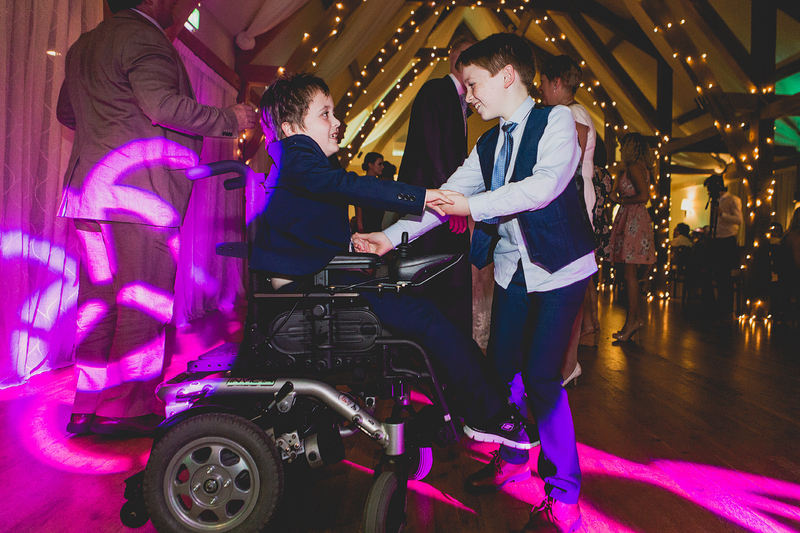 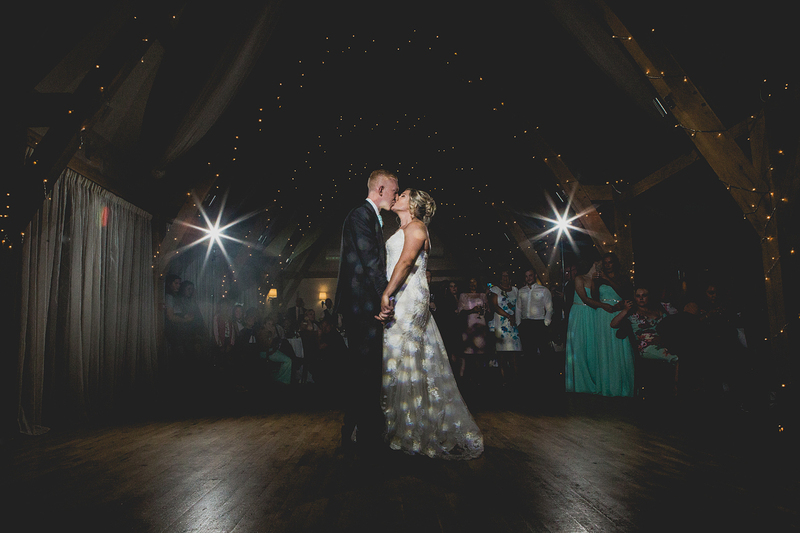 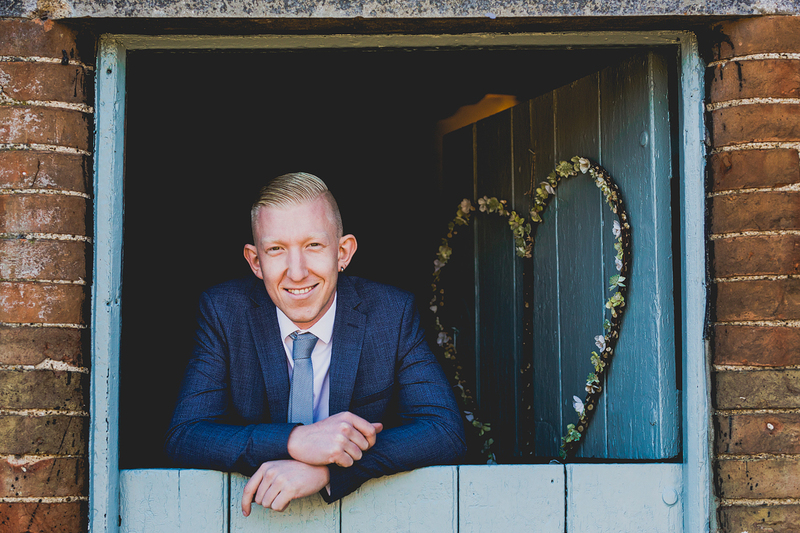 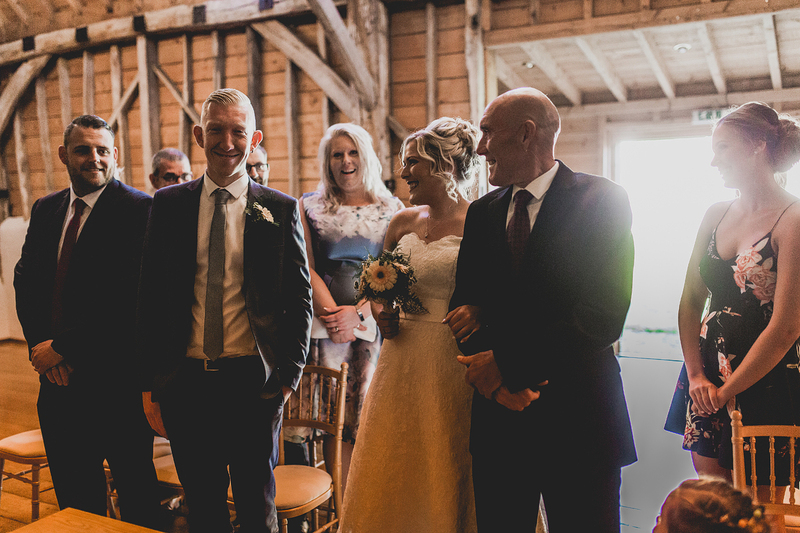 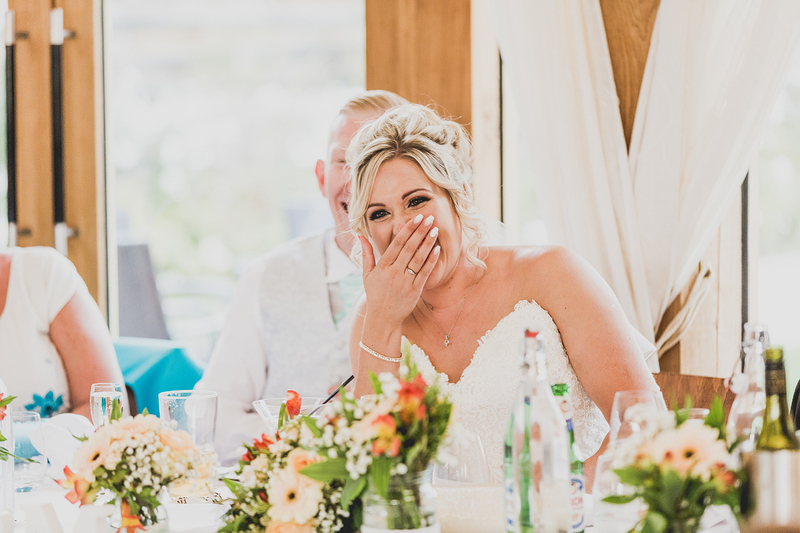 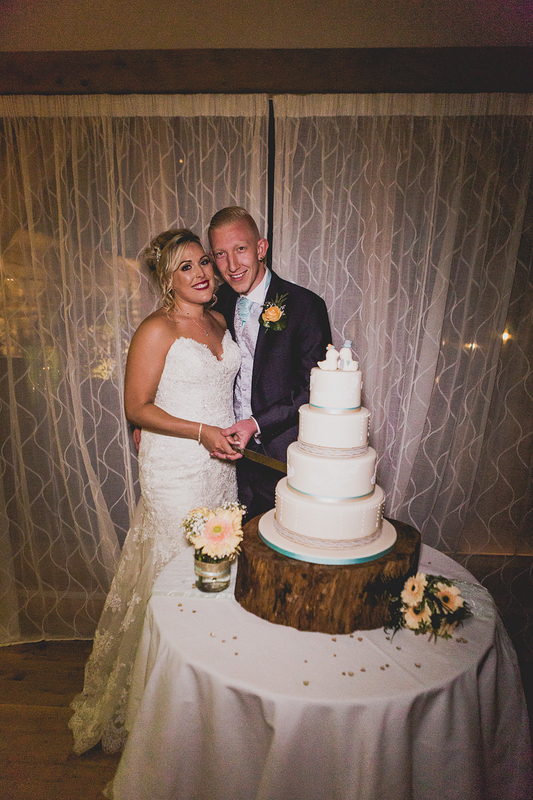 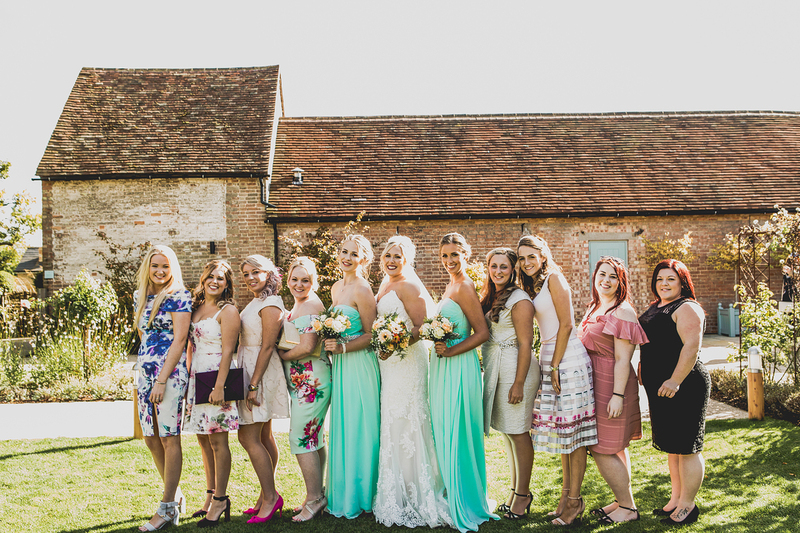 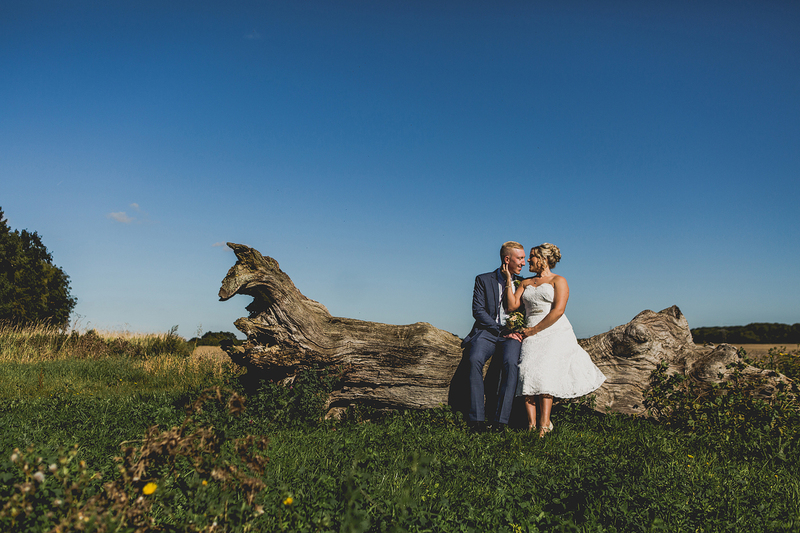 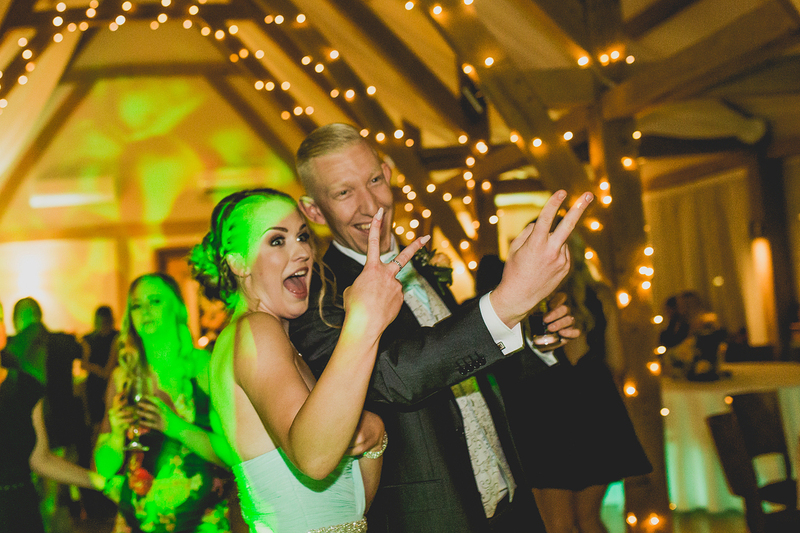 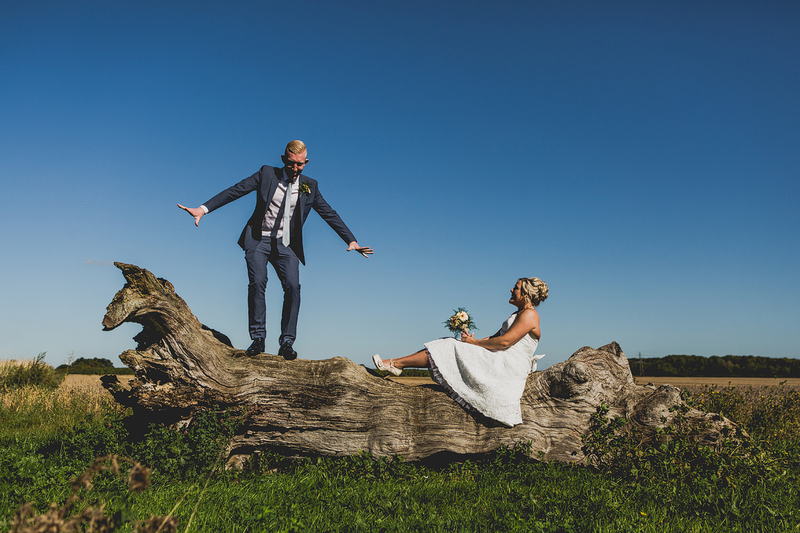 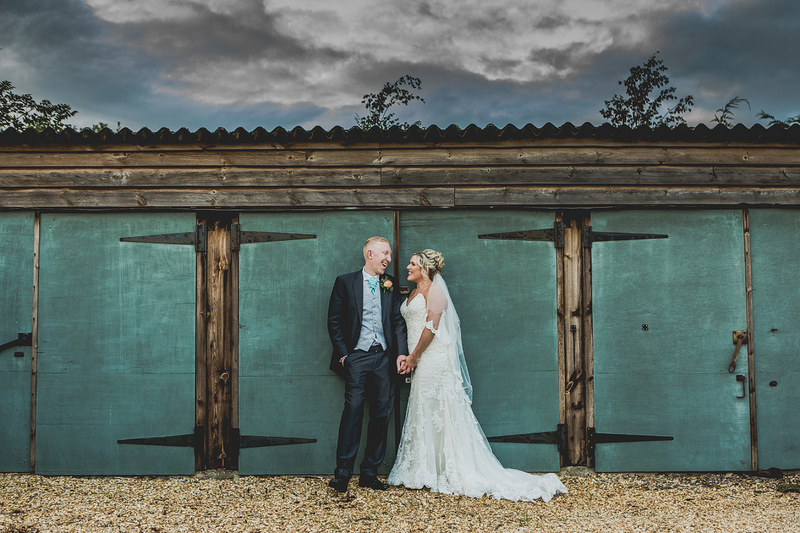 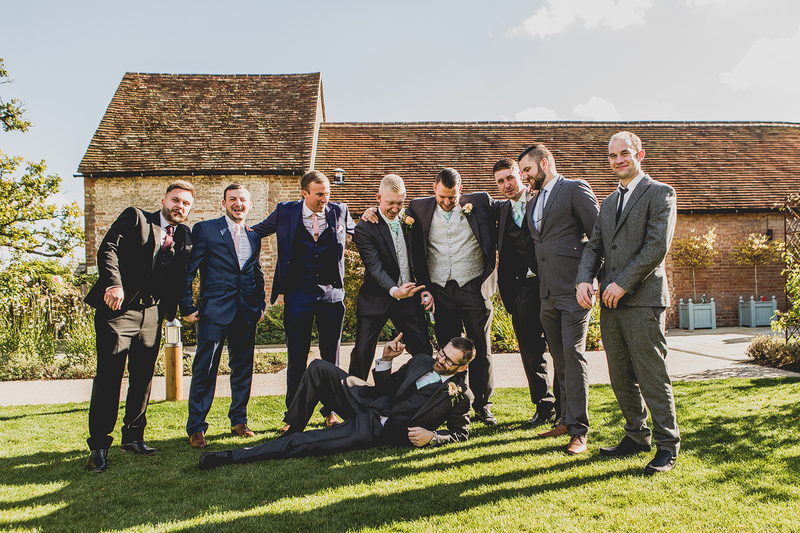 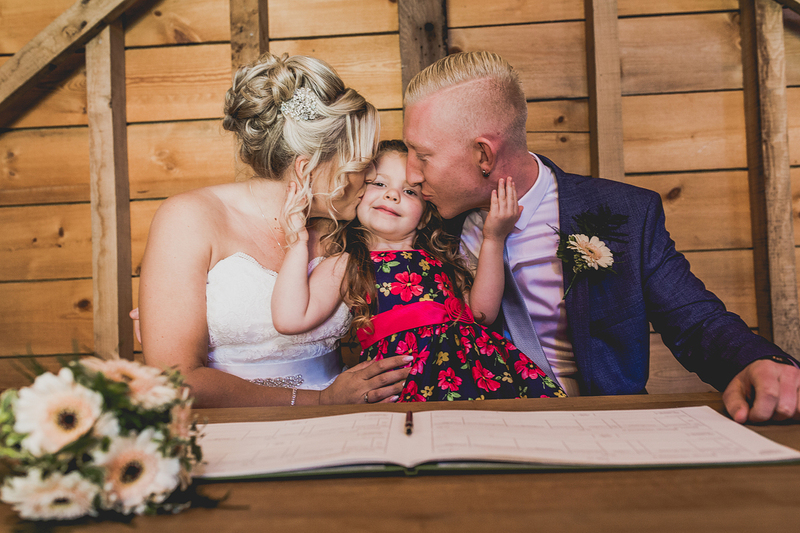 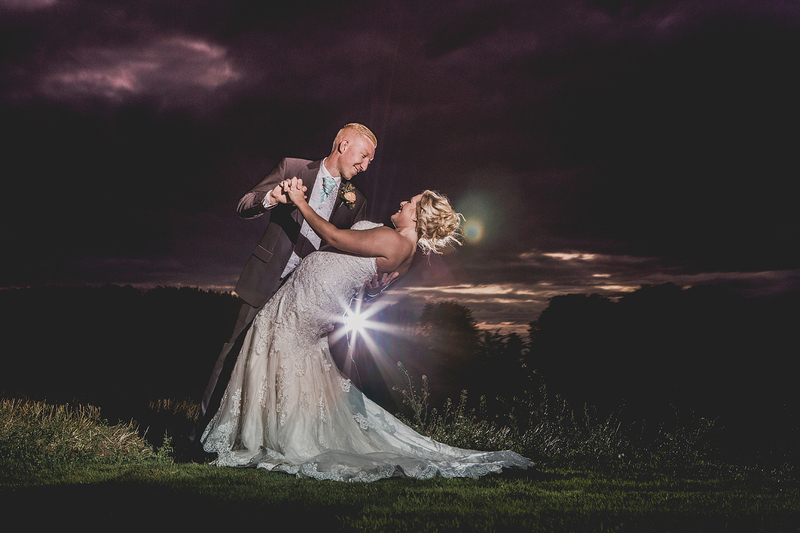 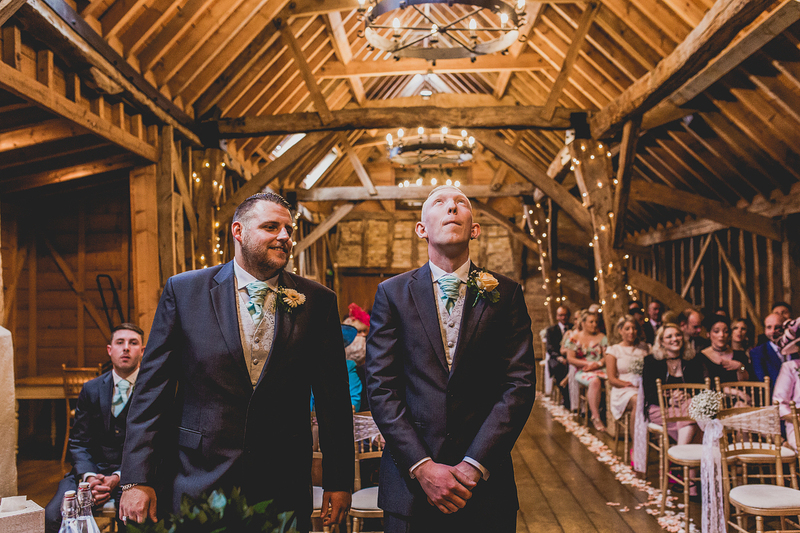 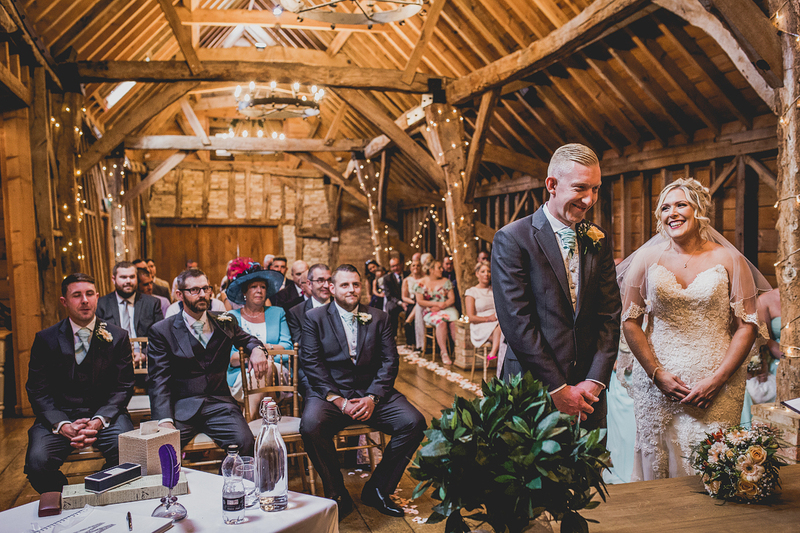 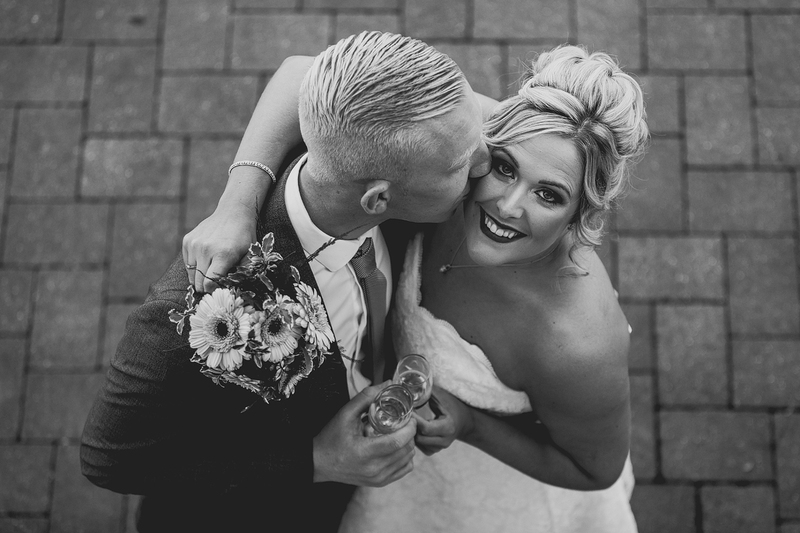 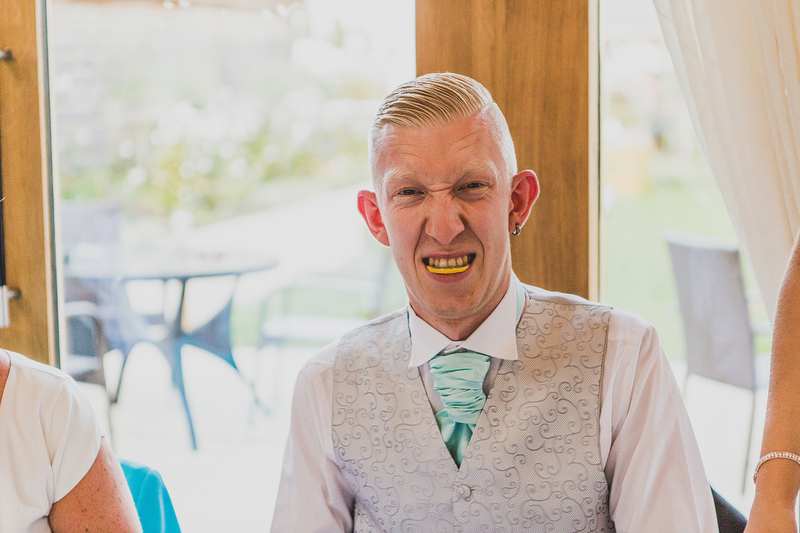 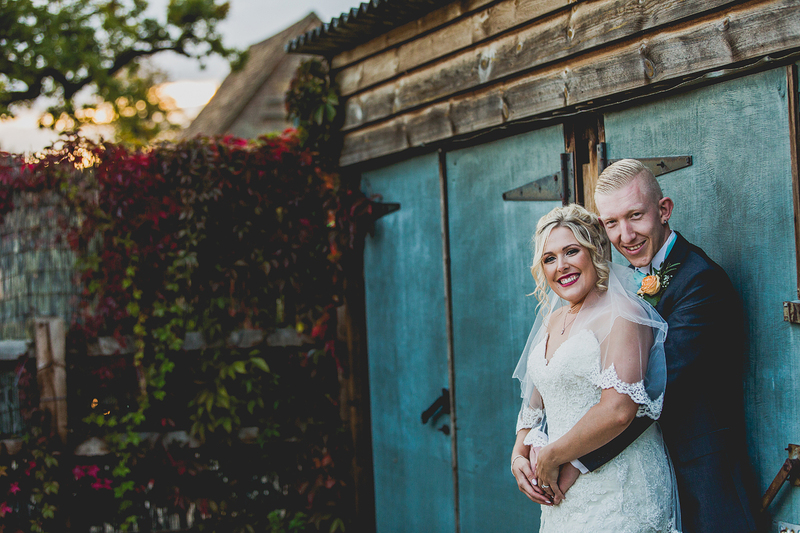 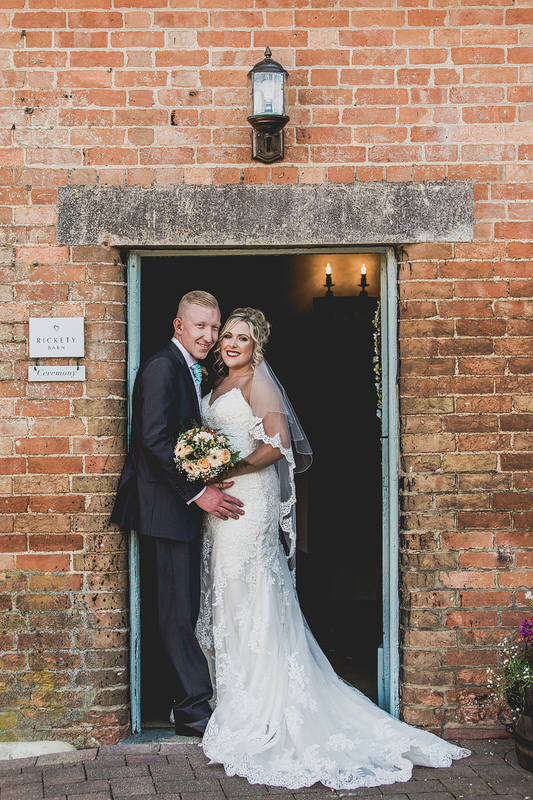 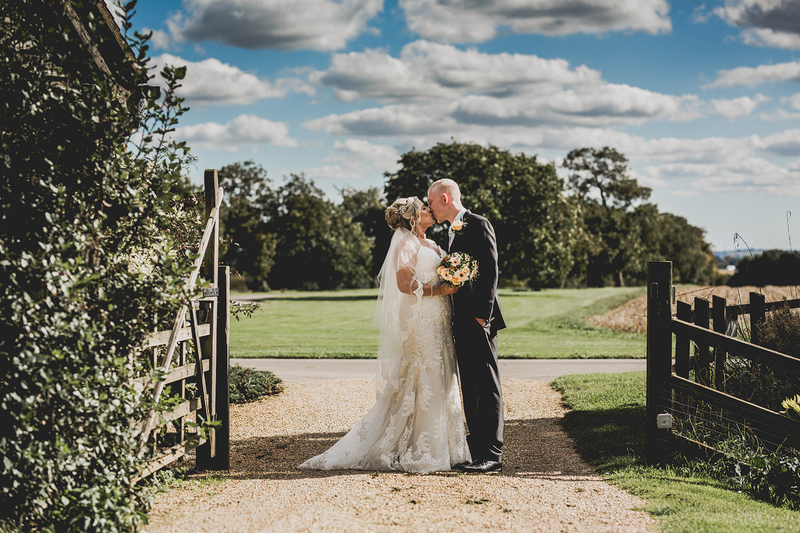 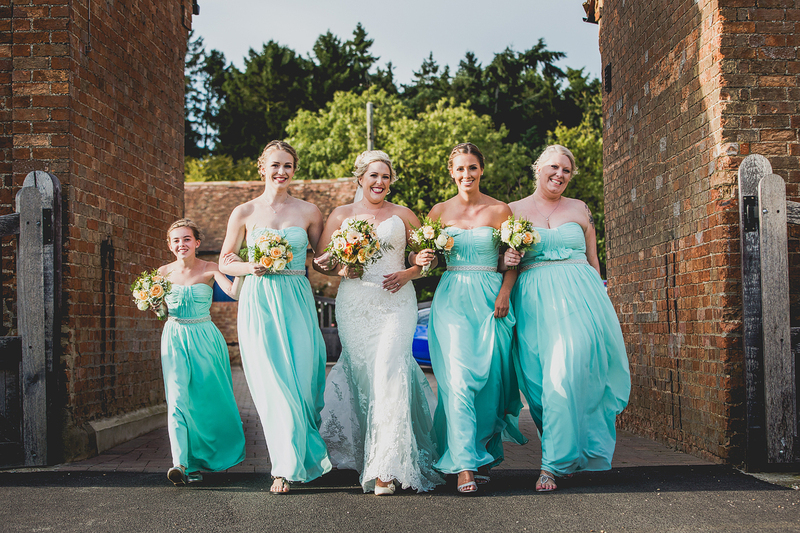 Bassmead manor barns is a great wedding venue to hold your ceremony, everything you need is on site and you’re well looked after by all the staff. 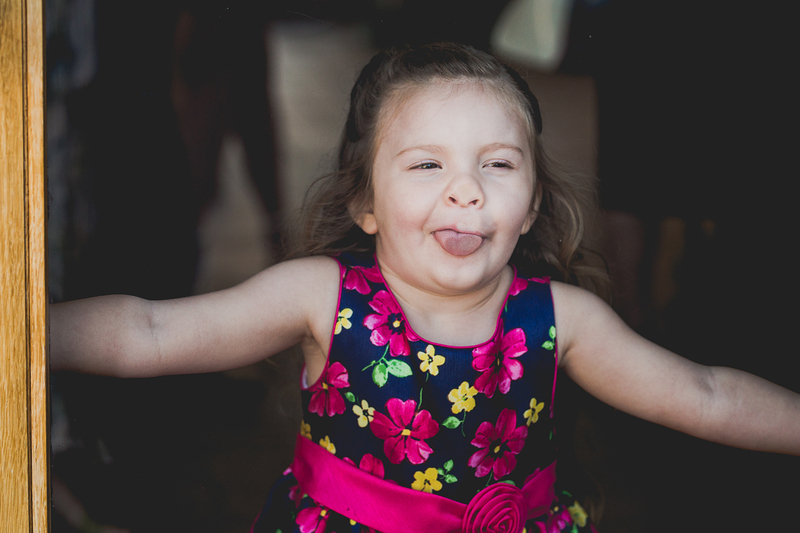 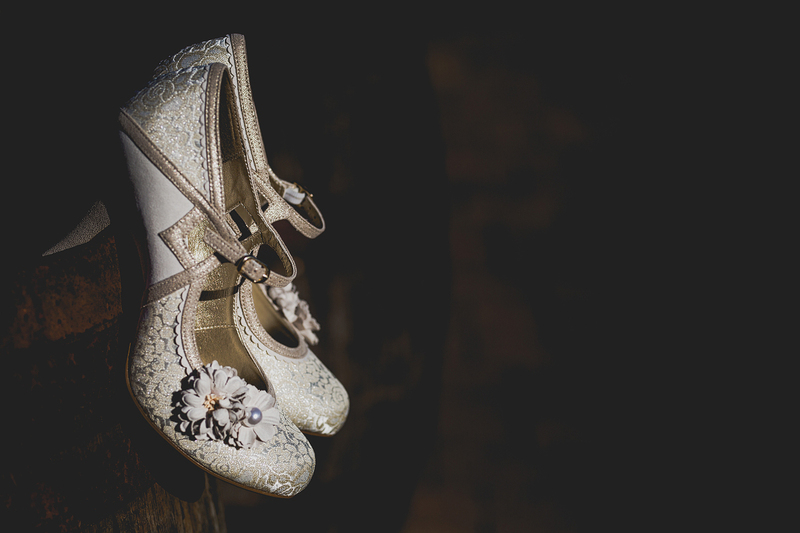 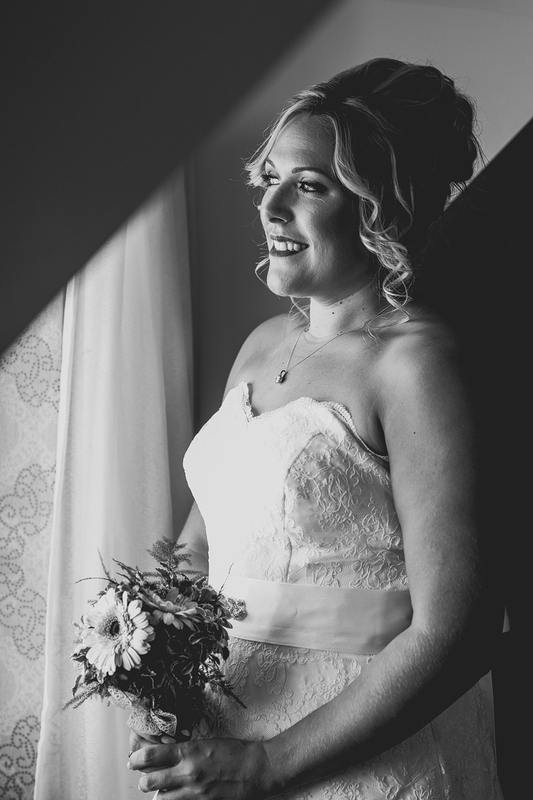 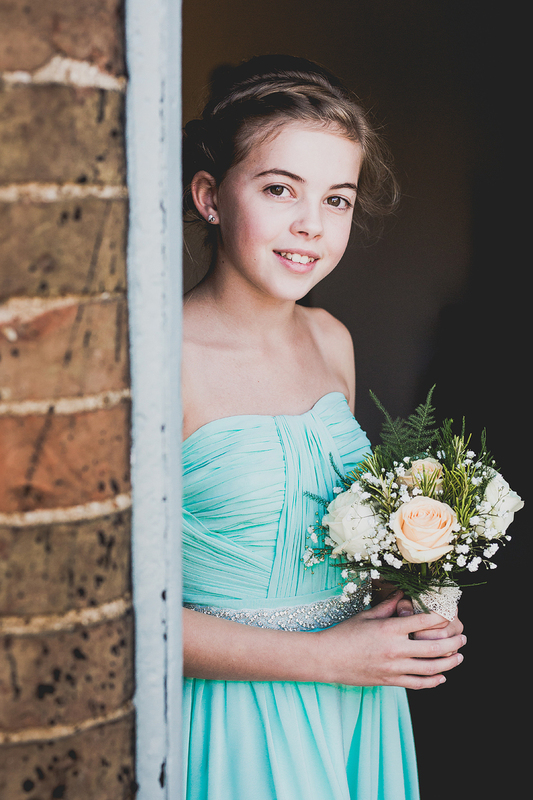 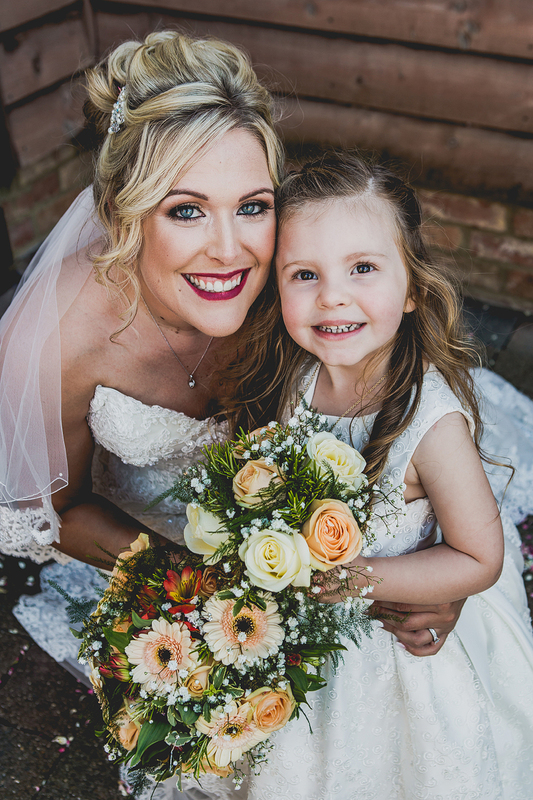 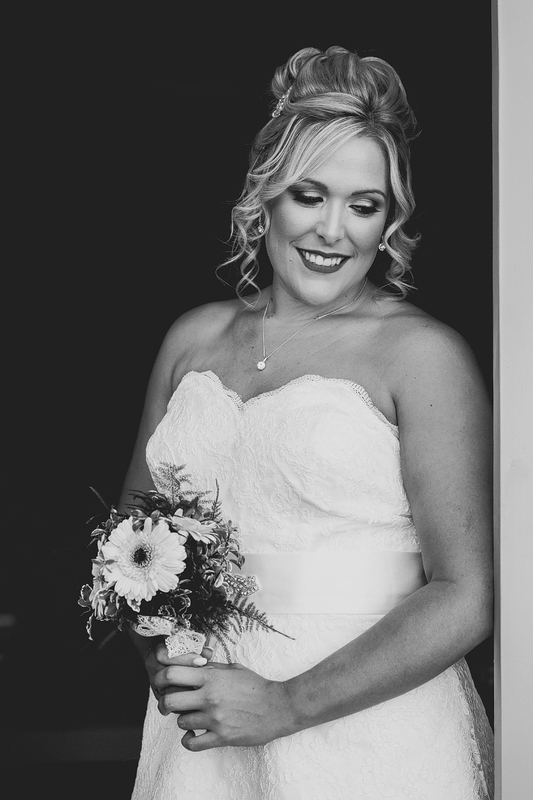 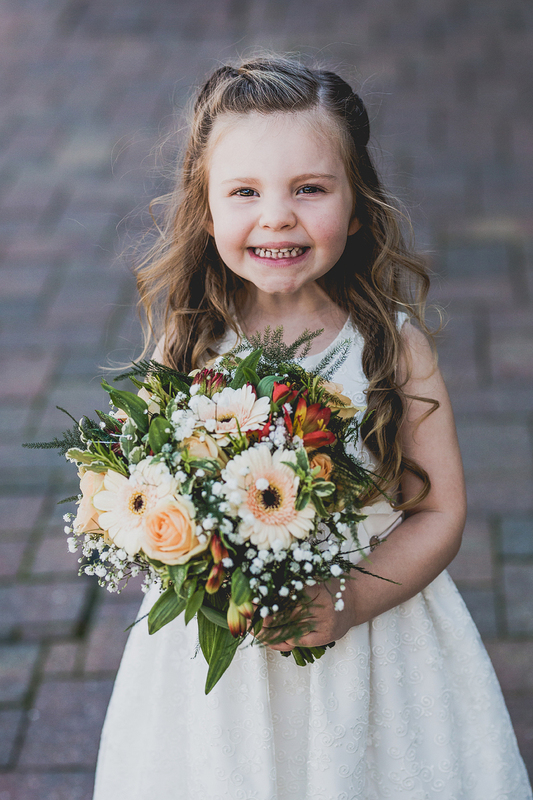 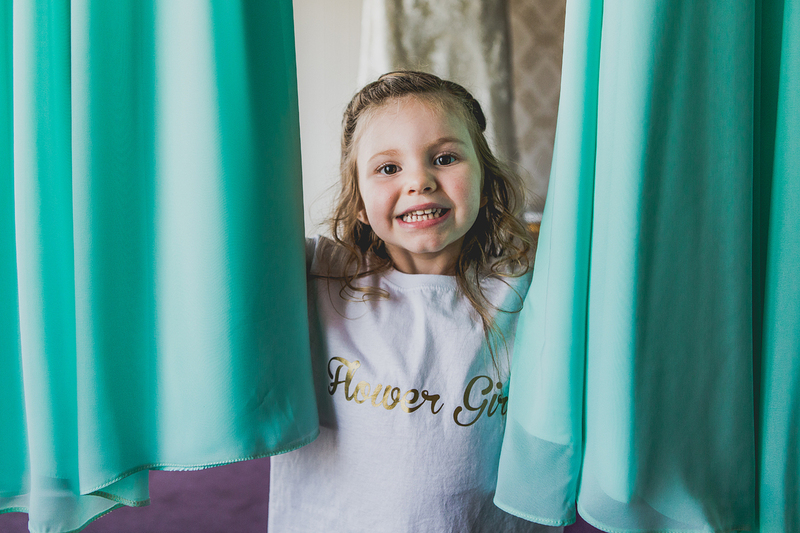 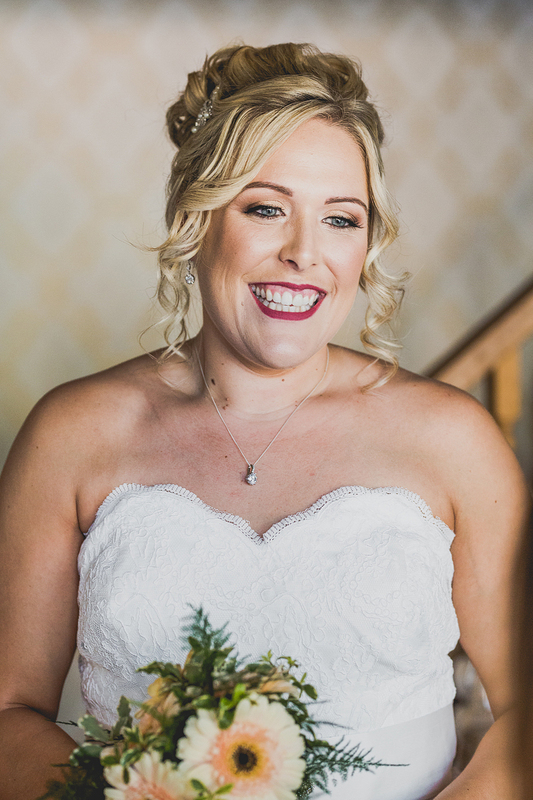 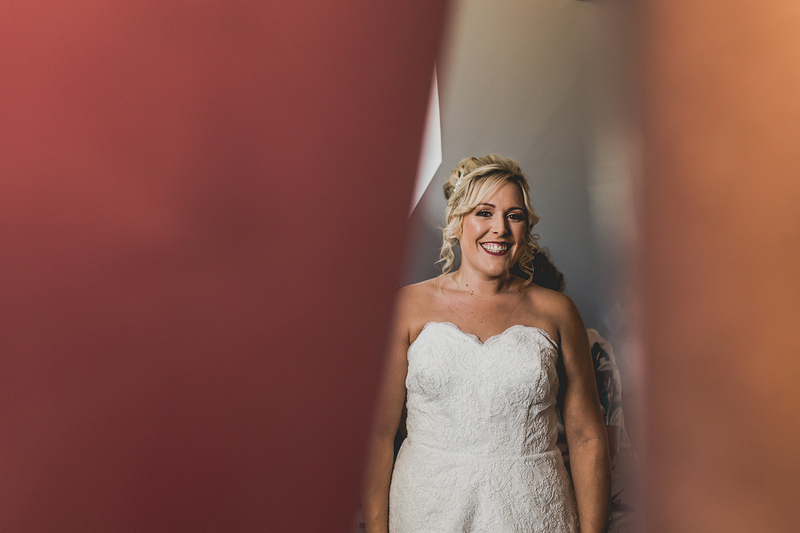 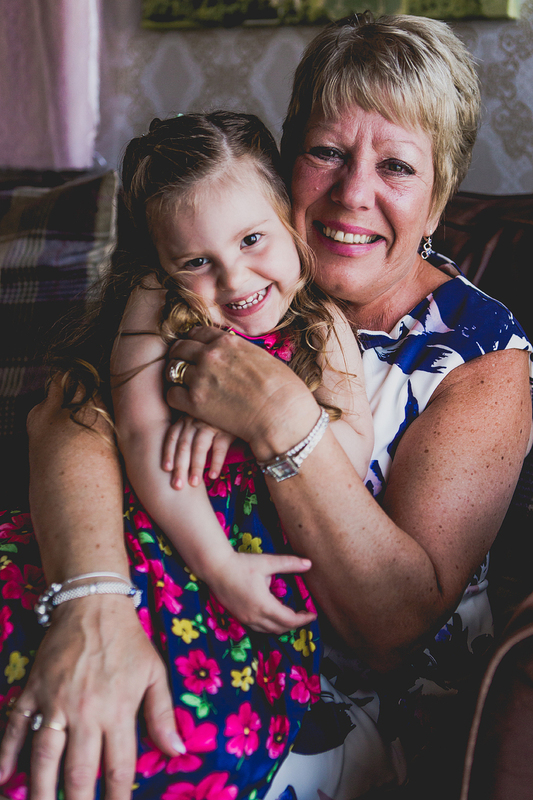 Lisa was full nervous excitement and I really enjoyed capturing all that emotion, especially as I had an extra cute flower girl to keep my camera busy. 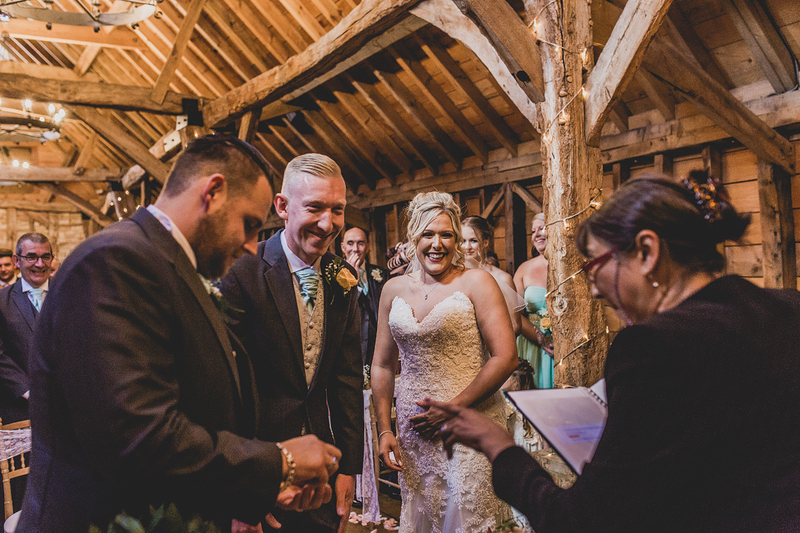 It was time for the first intimate ceremony, it was strange seeing Bassmead set up for around 20 people. 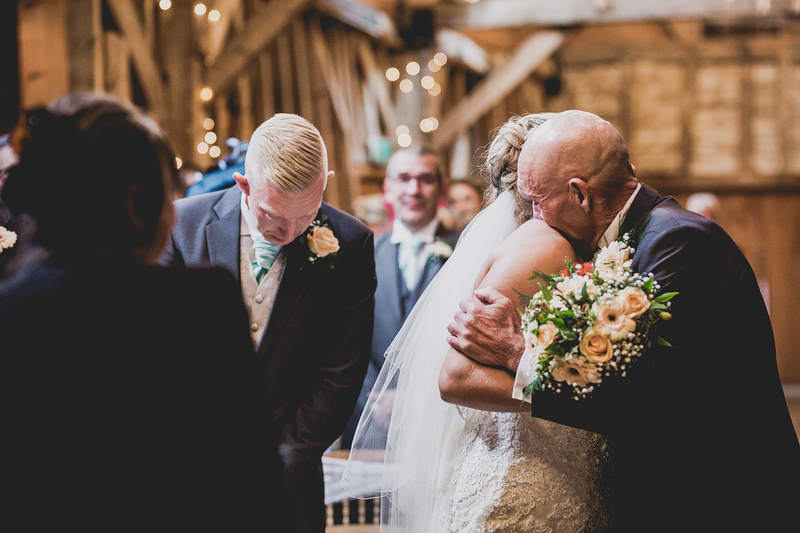 But as expected it was a beautiful service, really touching and personal. 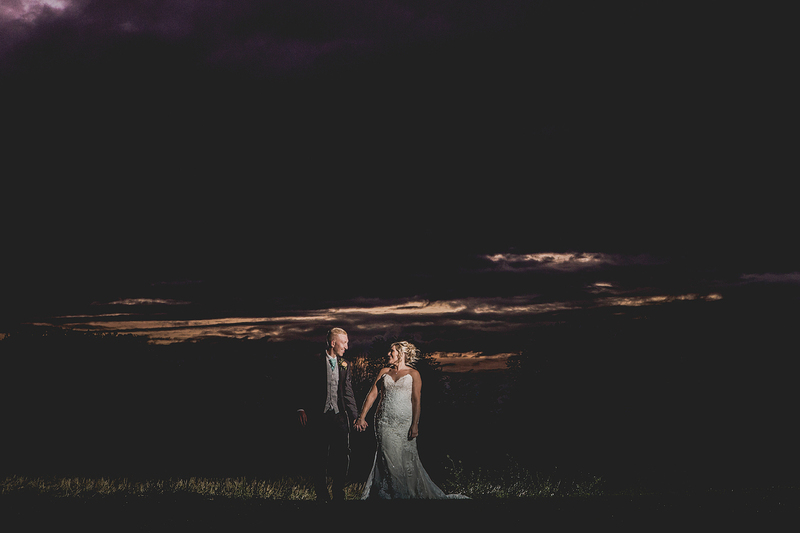 We had about 30 minutes of time to capture some couples portraits, so I made good use of the grounds, it was a real treat to photograph the bride and groom at this time in the morning, making use of the different light and backdrops. 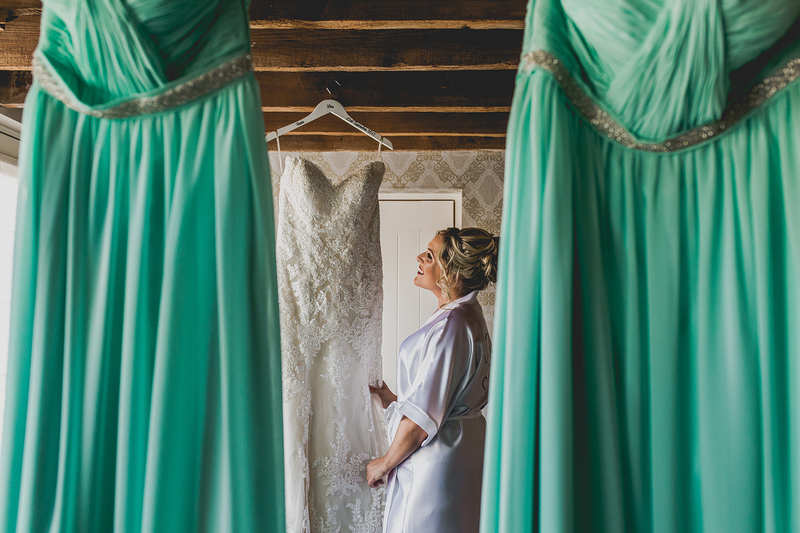 Back for the second round of bridal prep, leading up to the main event. 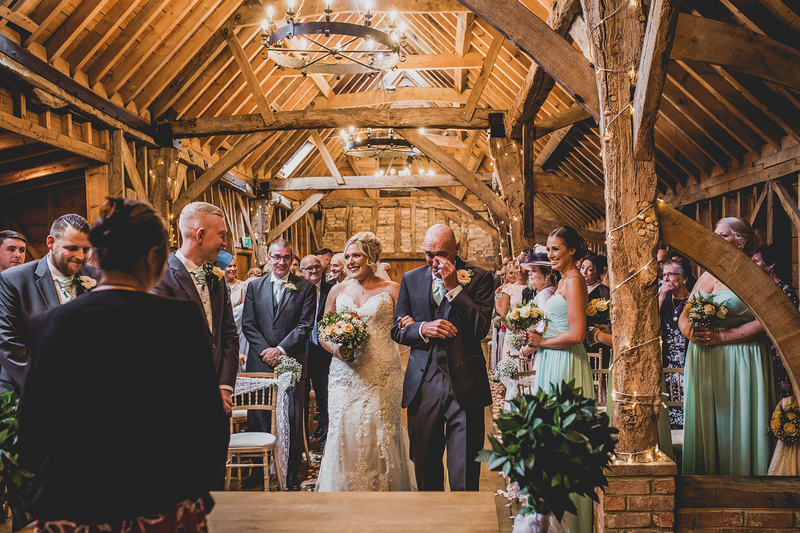 All the guests began to arrive and filled up the Rickety Barn to the rim. 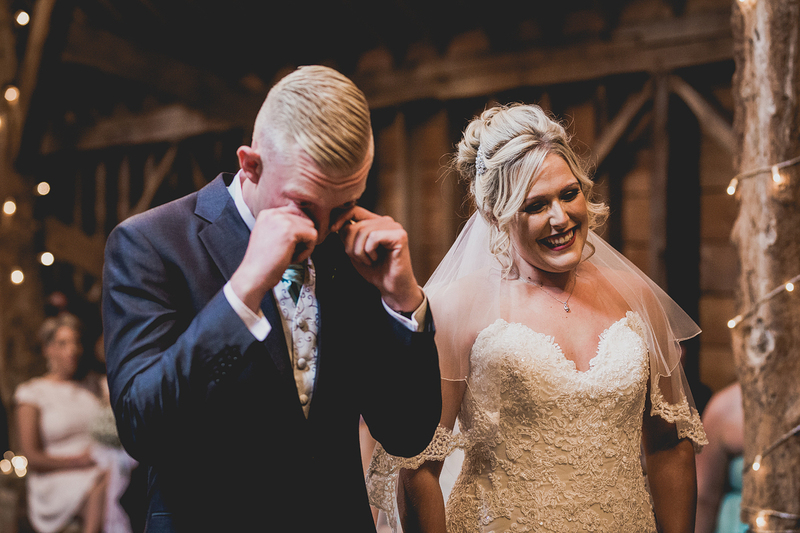 The second service seemed even more emotional as the tears rolled down all the bridal parties faces. 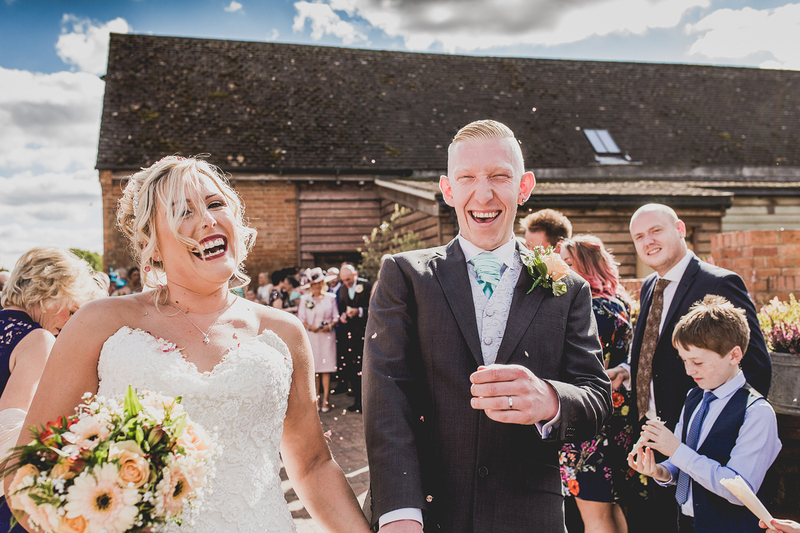 After the service the bride and groom came out to a shower of confetti and after a quick group photo it was time for a welcome drink and canapés. 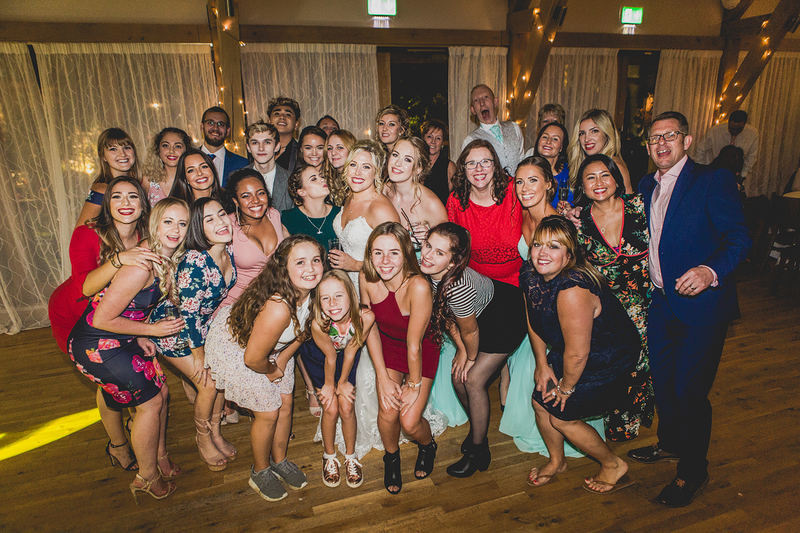 It seemed all of Lisa and Chris friends and family liked a good party as there were plenty of candid moments to capture, everyone was really enjoying the occasion. 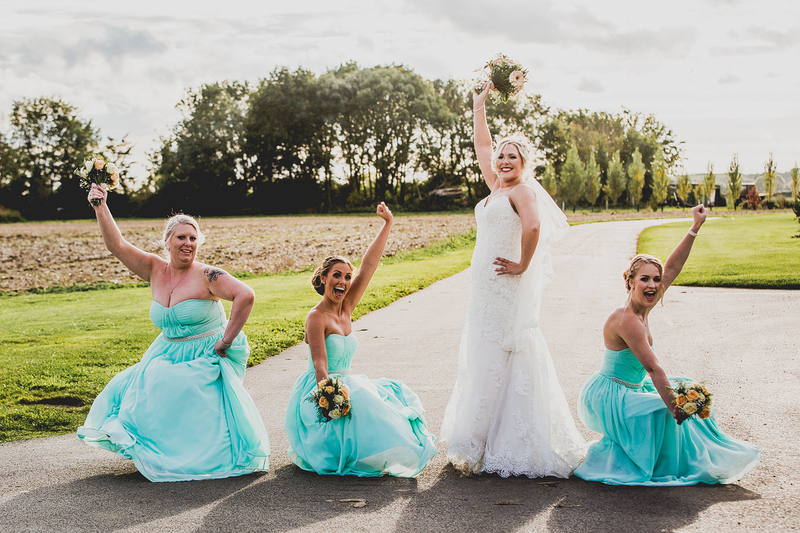 Shooting the bridal party was so much fun, I’d say something to trigger off a reaction then the laughter just ran through them all. 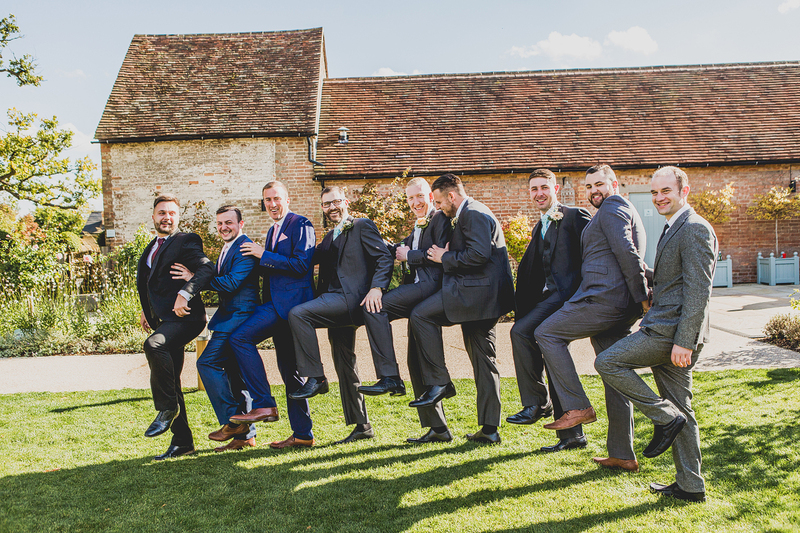 After the speeches and food it was time for a good old knees-up, the celebrations ran long into the night and every now and then someone literally got thrown in the air. 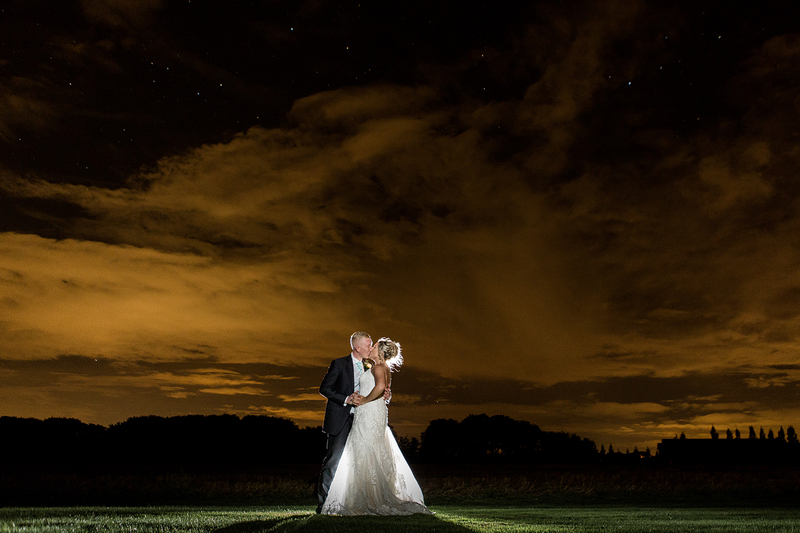 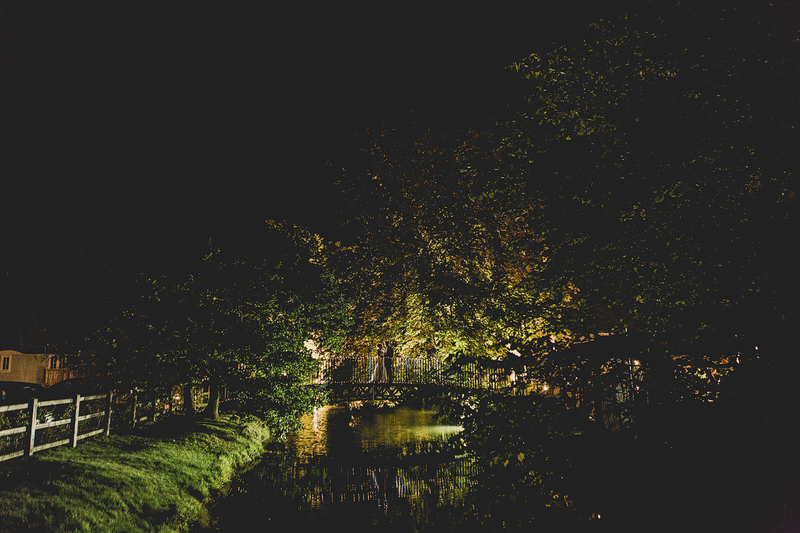 Before I left I made sure I captured some after-dark images, these always go down well with the bride and groom.